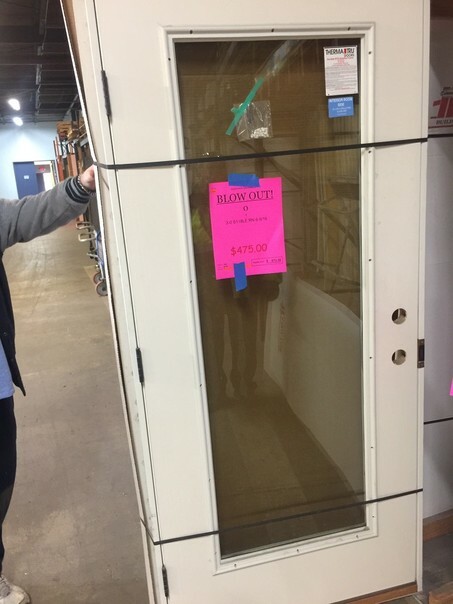 The Bargain Bin offers one-time deals on products that were special order returns, mistaken orders or have been discontinued. 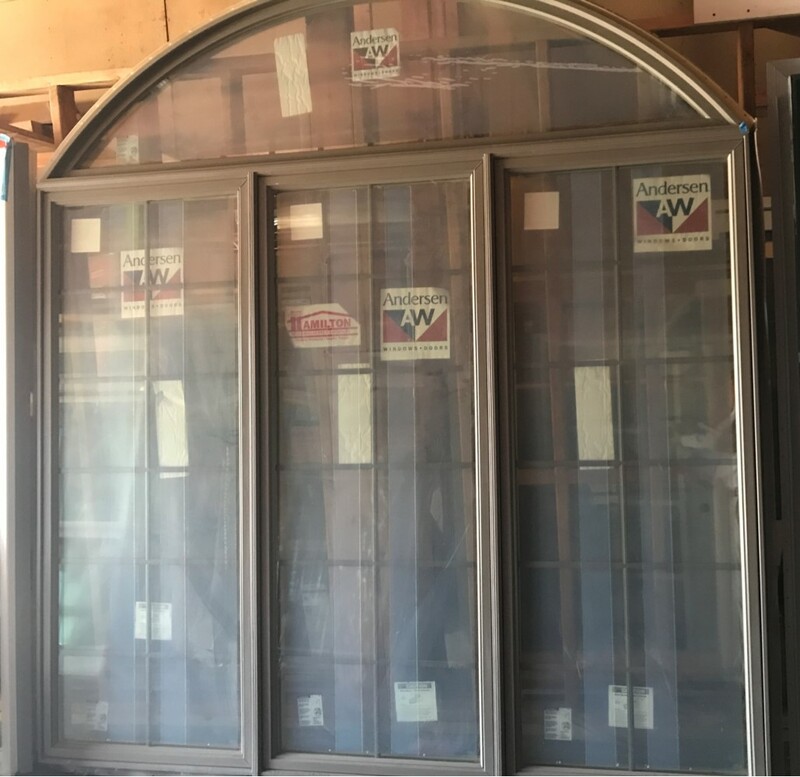 Most items are in perfect condition, and others may have a dent or scratch. 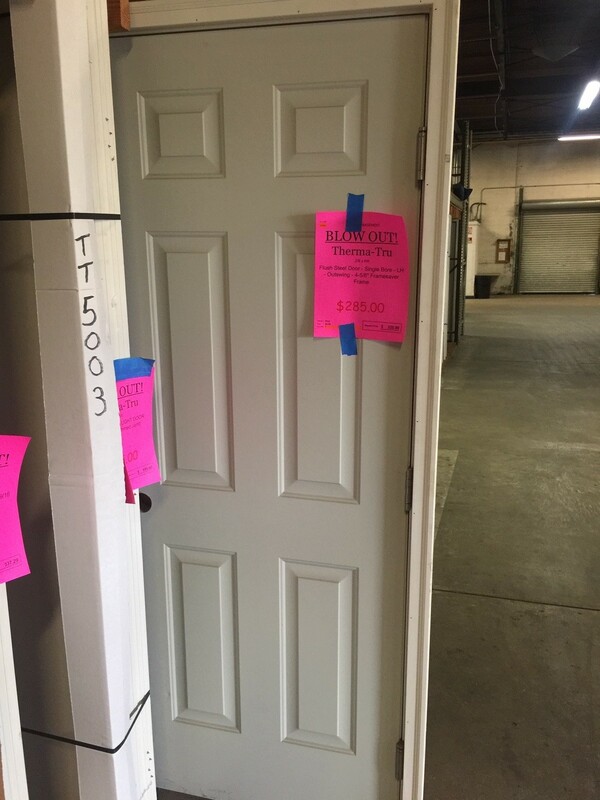 It's a great opportunity to get the products you need, offered at a discounted price. 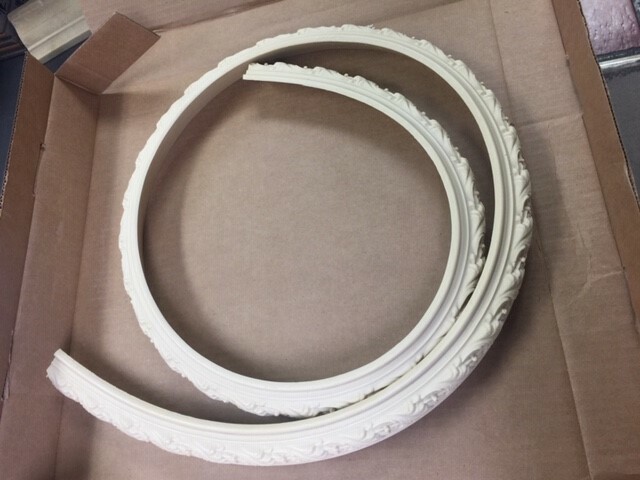 New products are being added regularly. 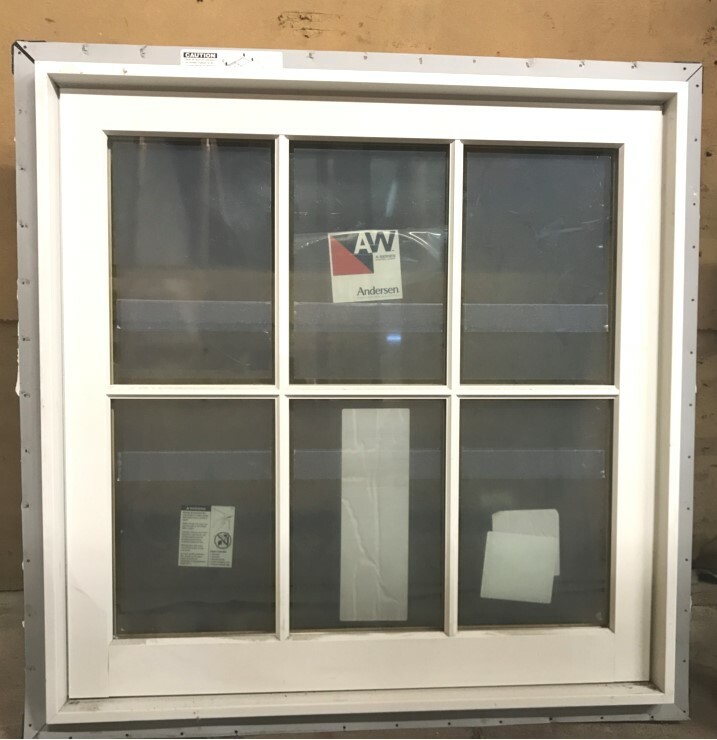 TW3052 w/ TWT3010 Transom. 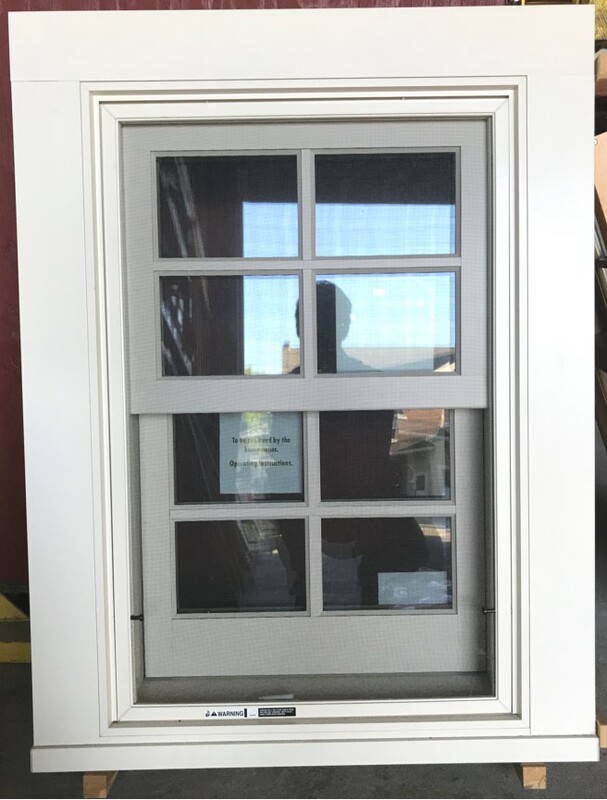 2W1H GBG in Transom and Top Sash, 4-9/16"
Maibec Primed Cove Shake. 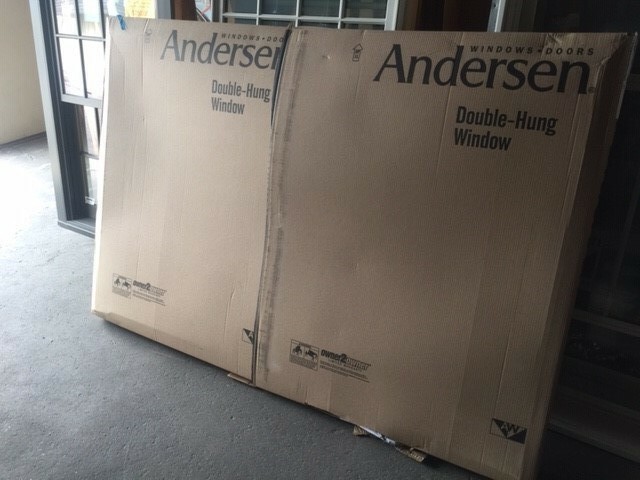 1/4 Square per box (25 sq ft). 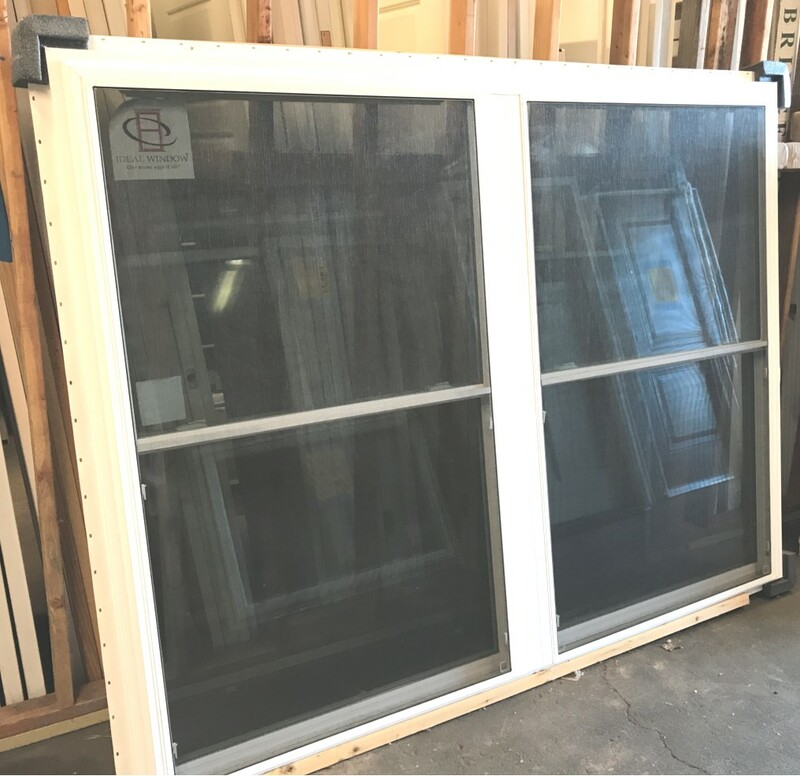 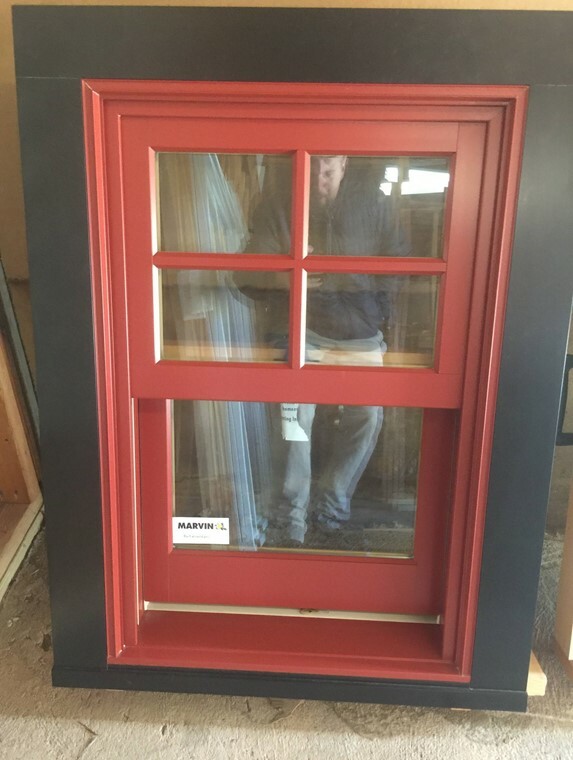 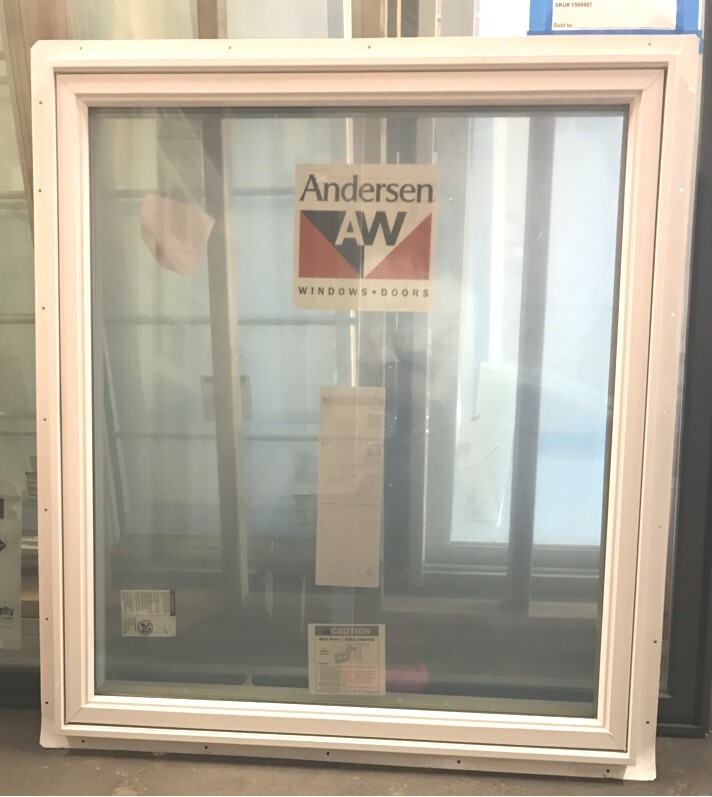 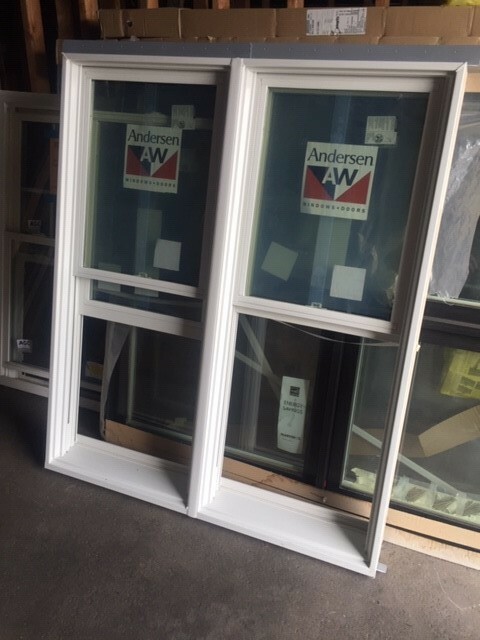 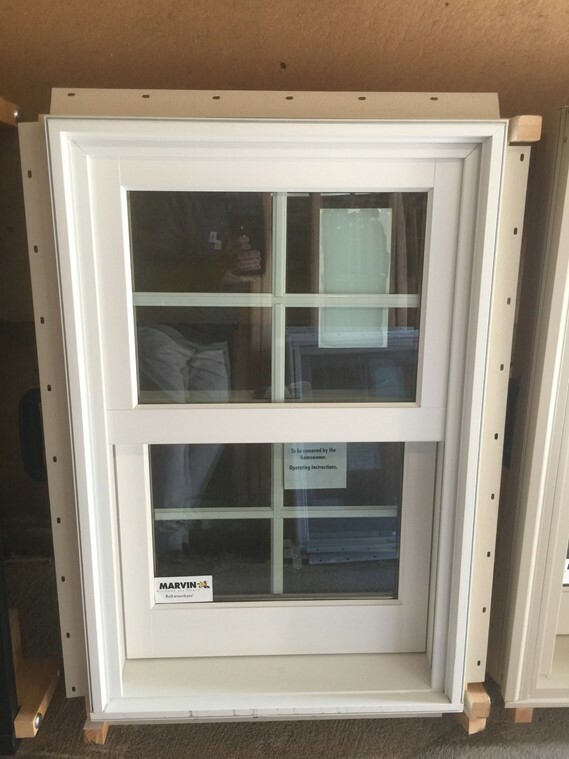 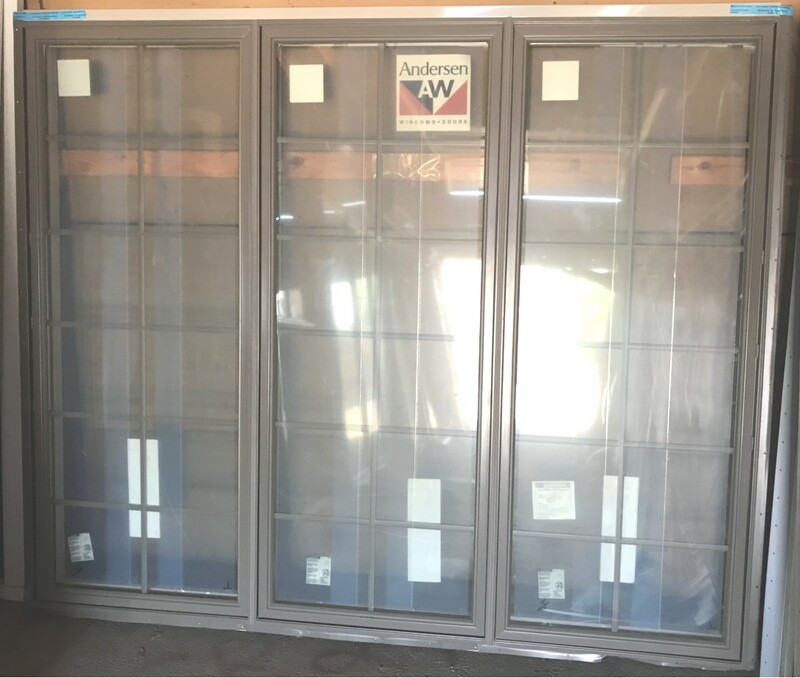 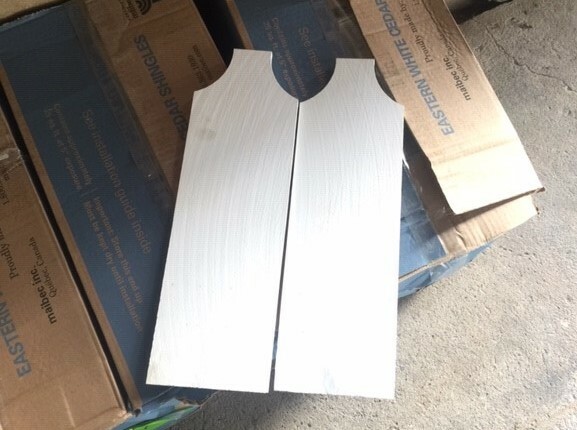 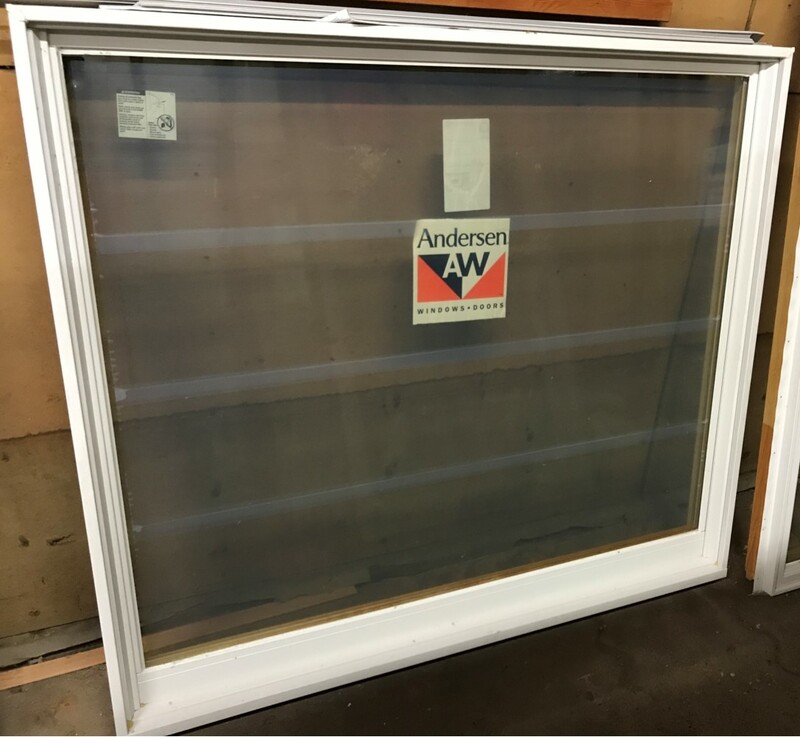 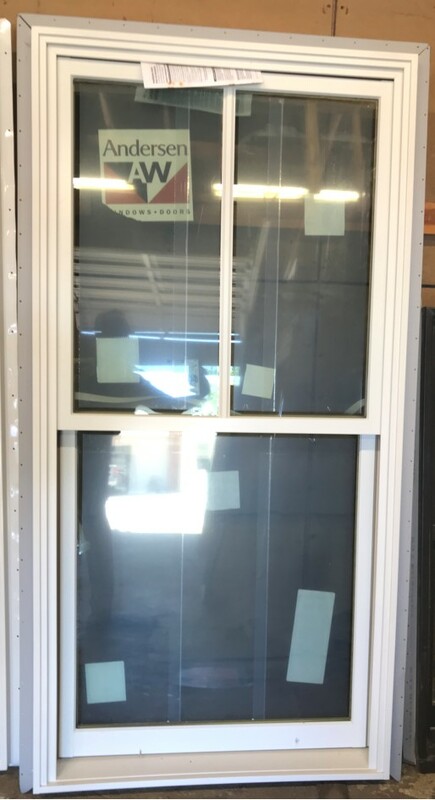 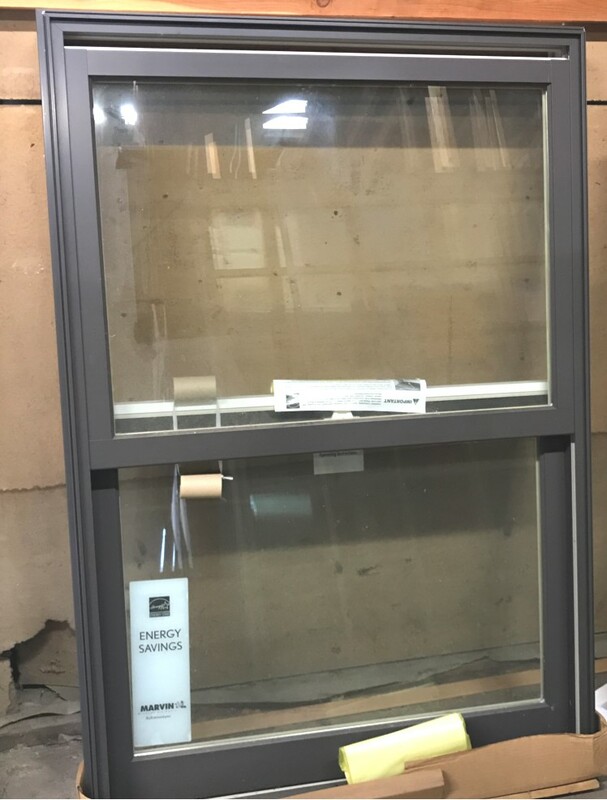 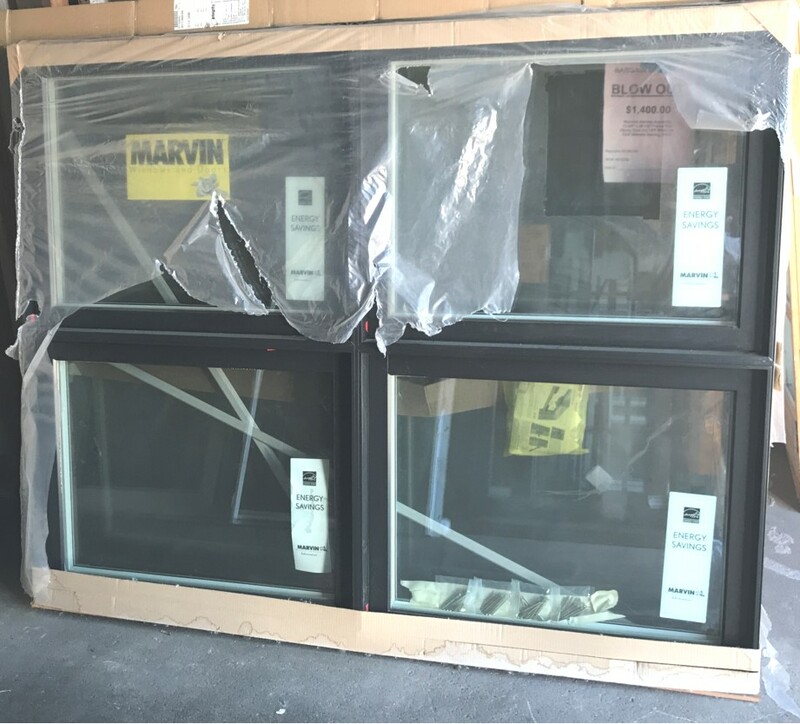 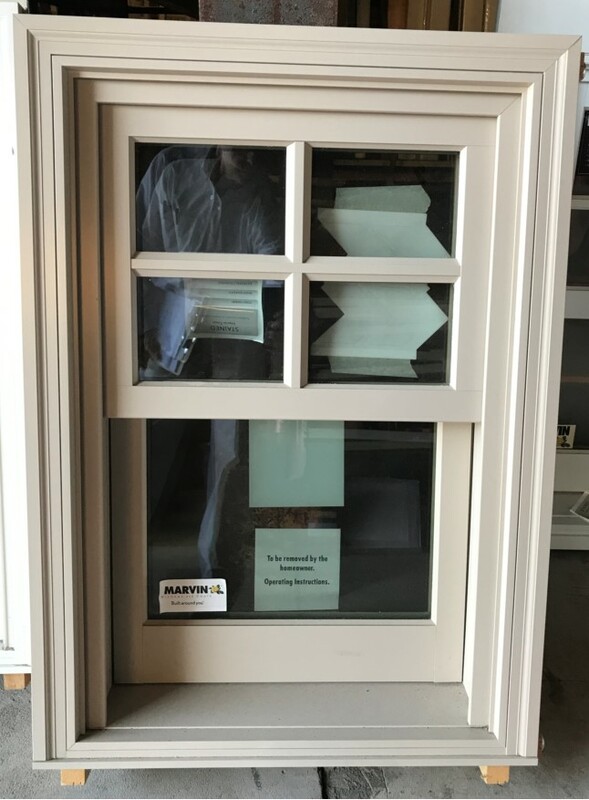 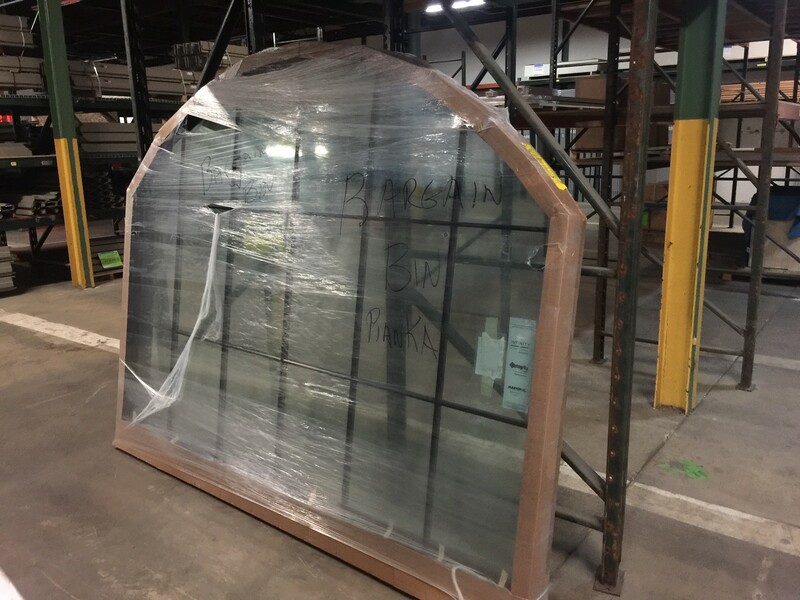 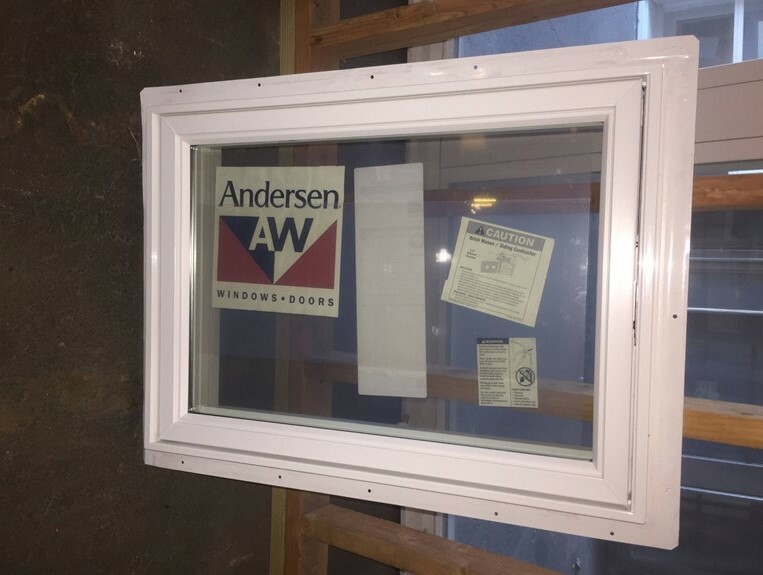 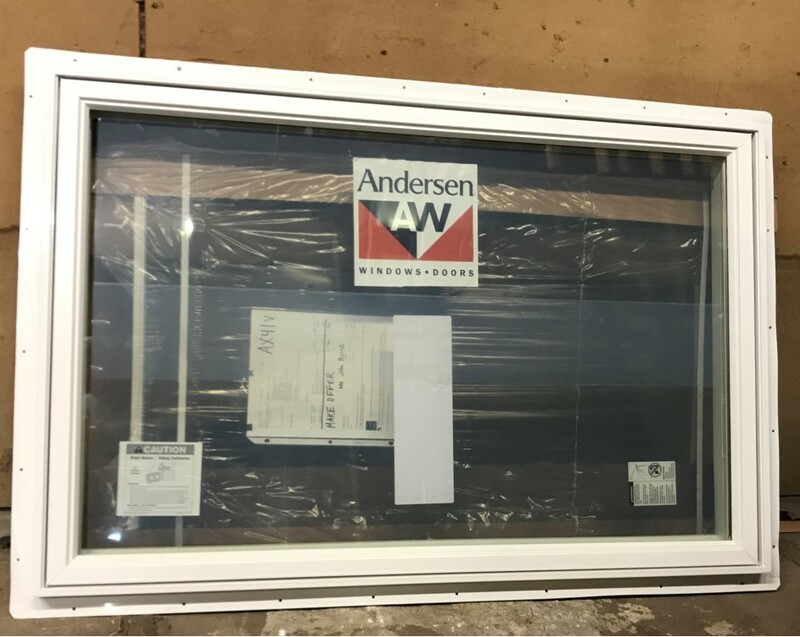 Clad Ultimate Double Hung – Next Generation. 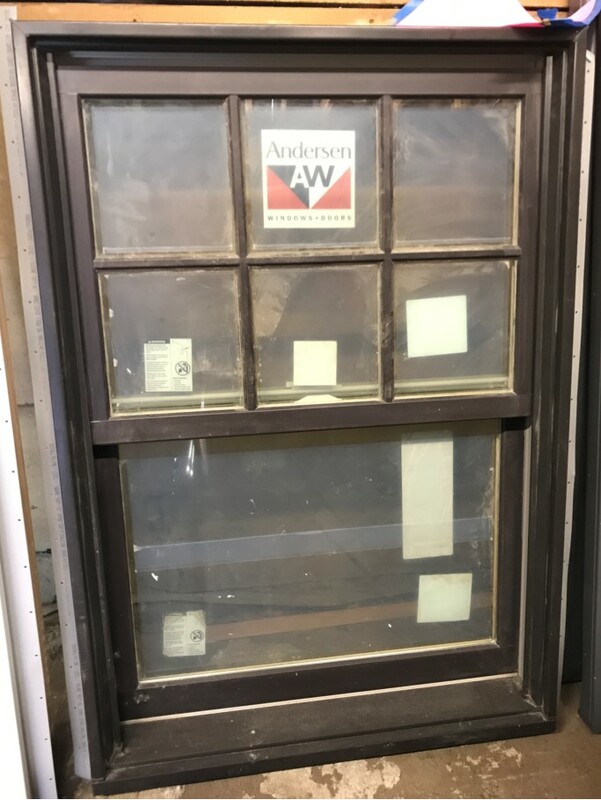 Bronze sash lock and keeper. 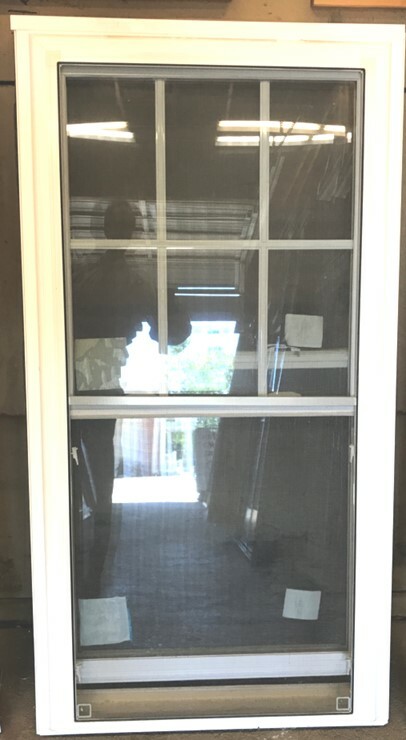 1 5/8” BMC. 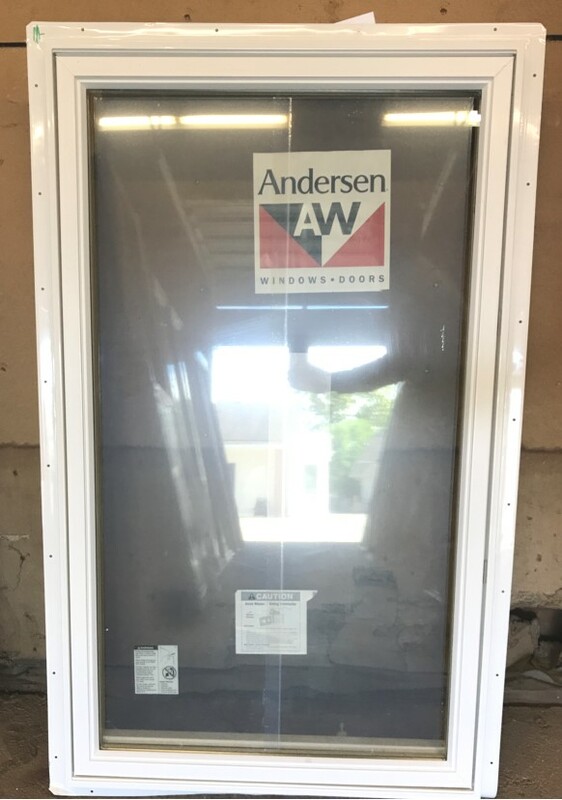 Standard subsill. 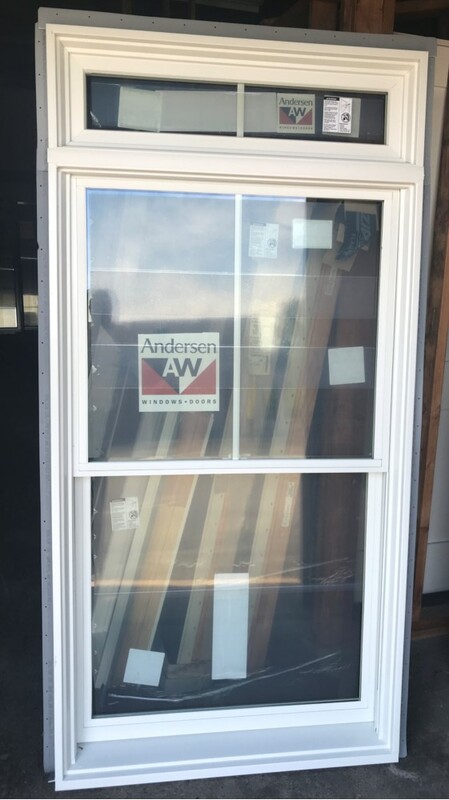 1 1/8” SDL with spacer bar cut 4 over 1. 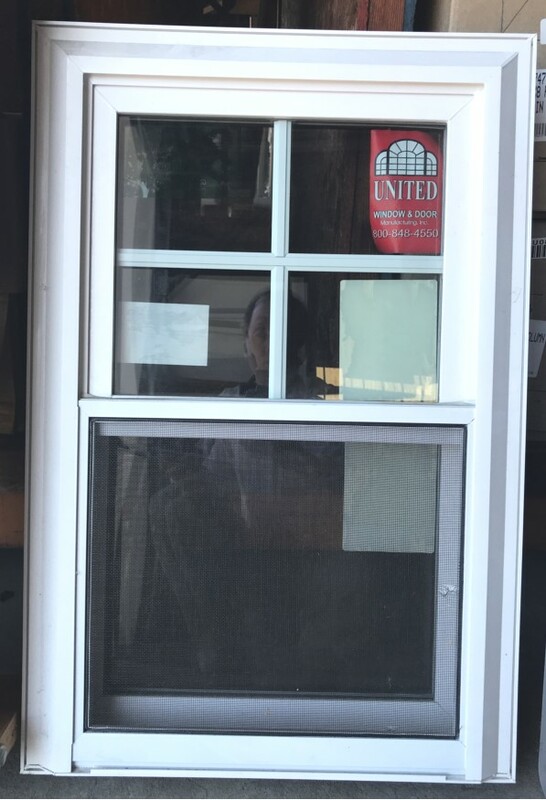 No screen. 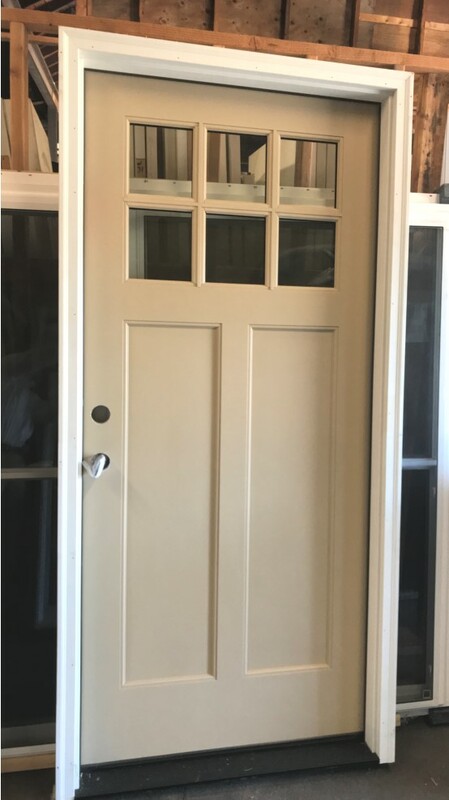 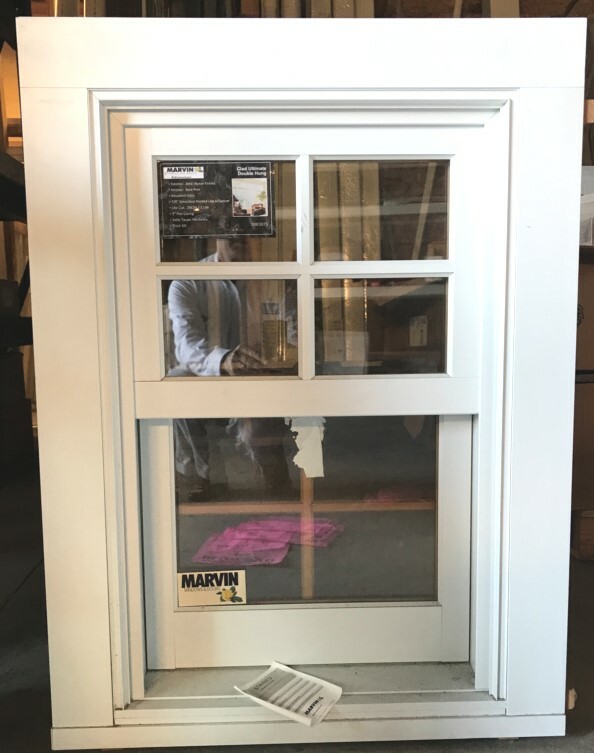 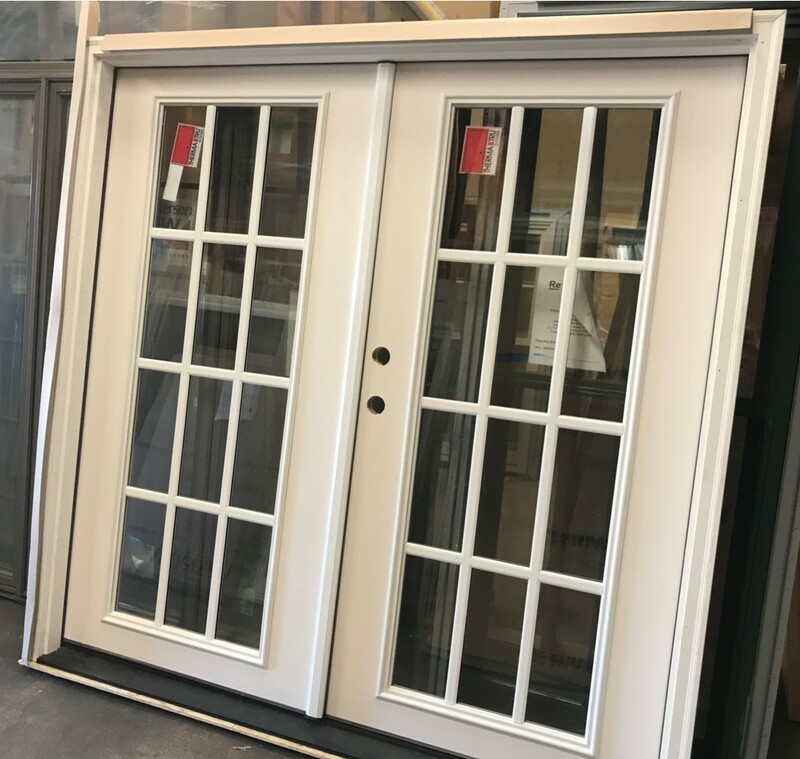 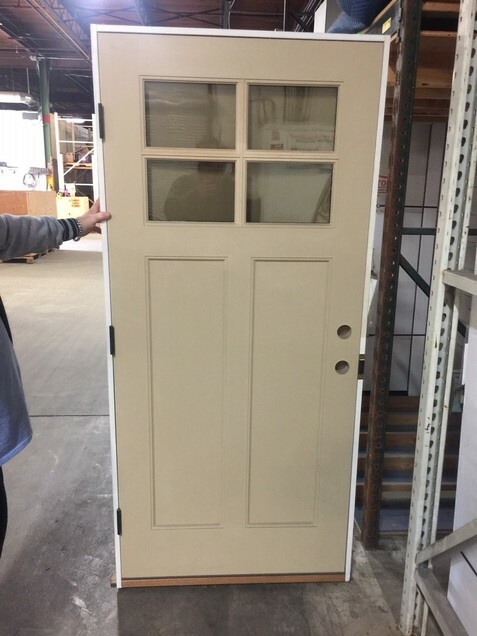 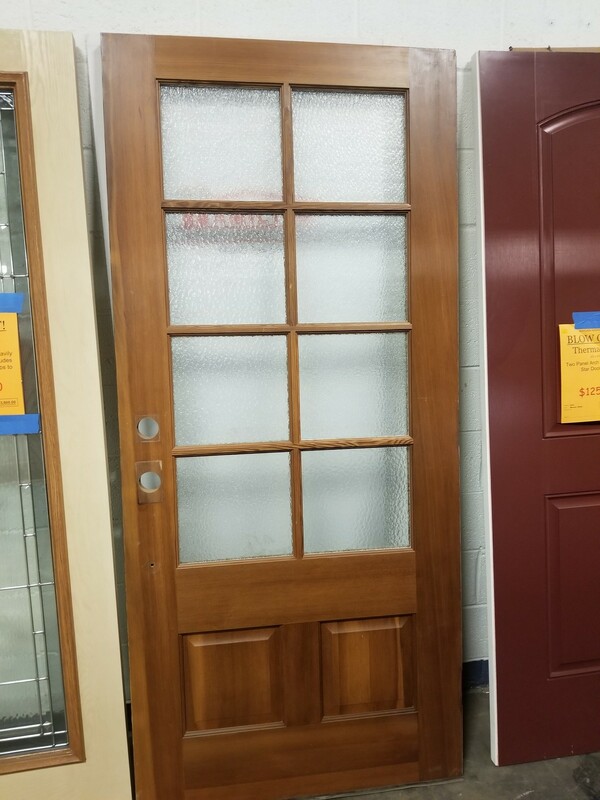 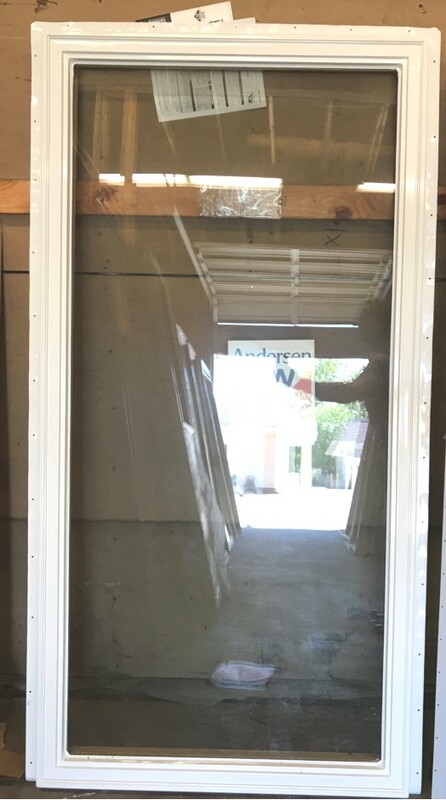 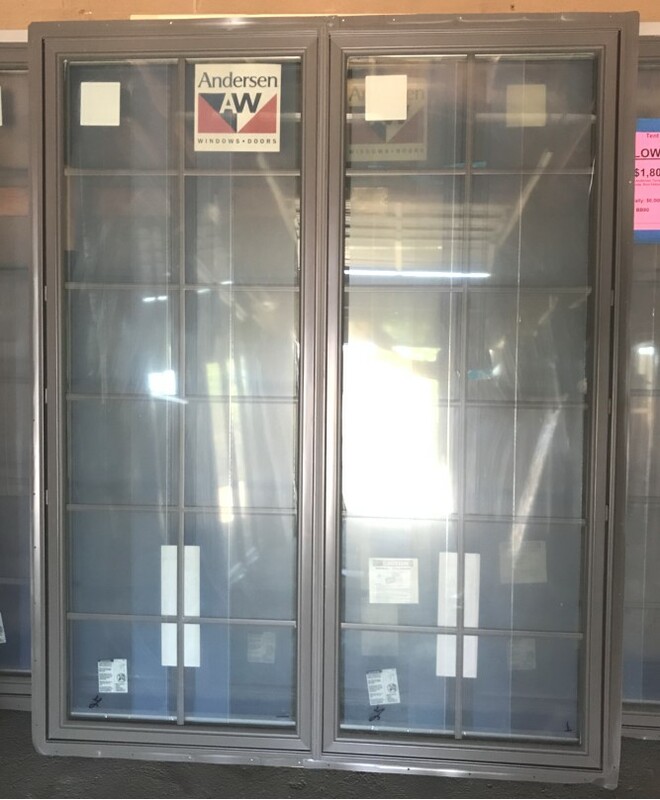 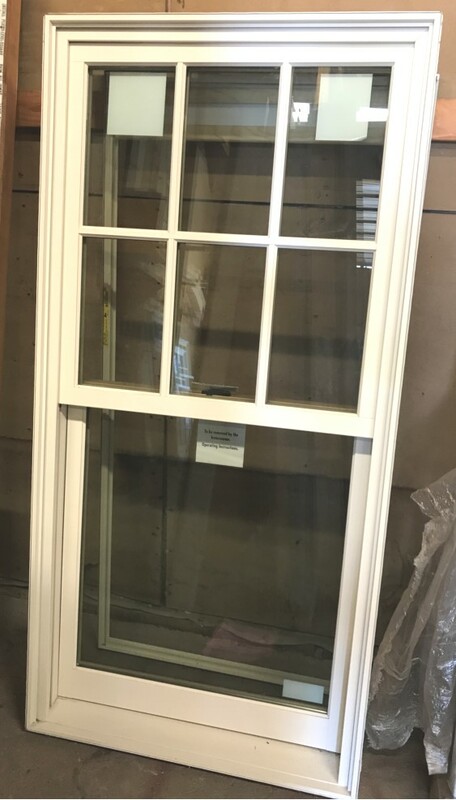 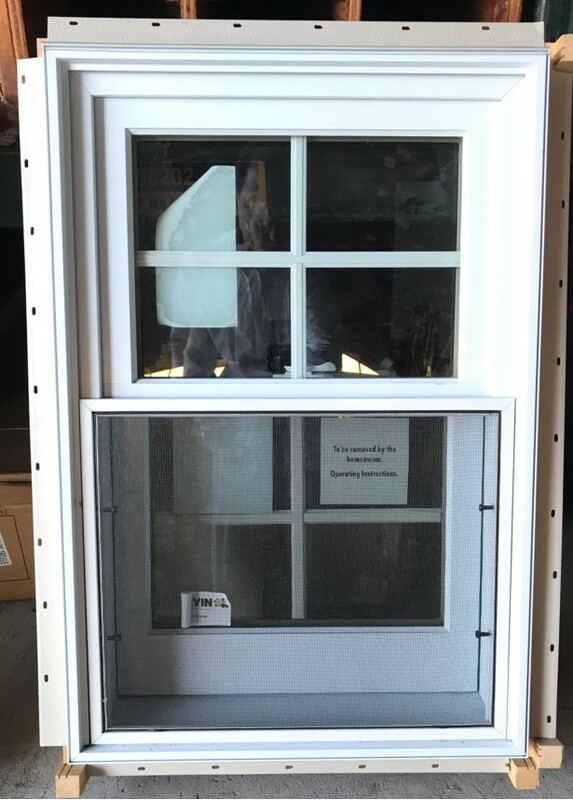 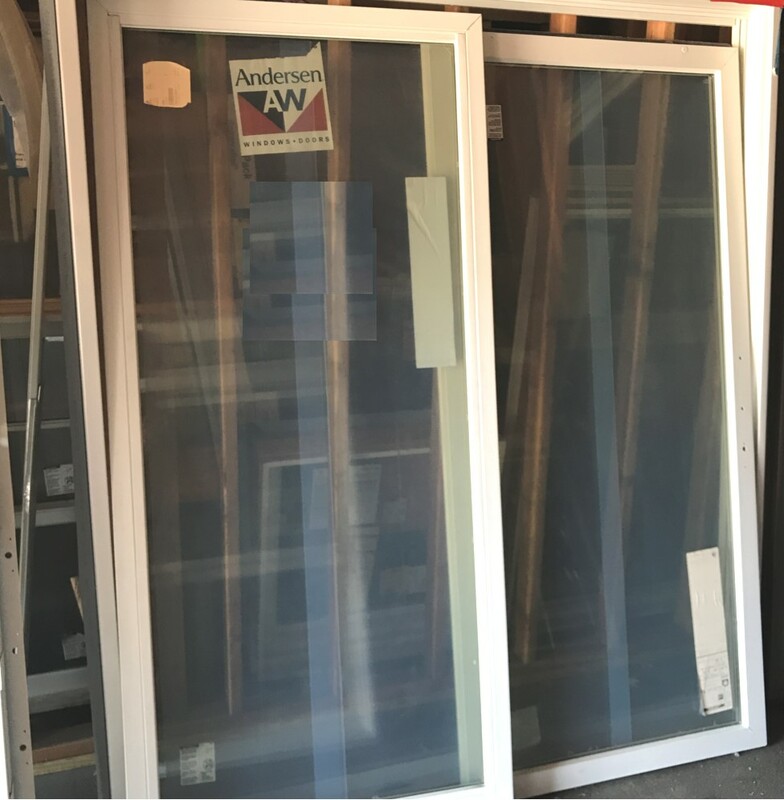 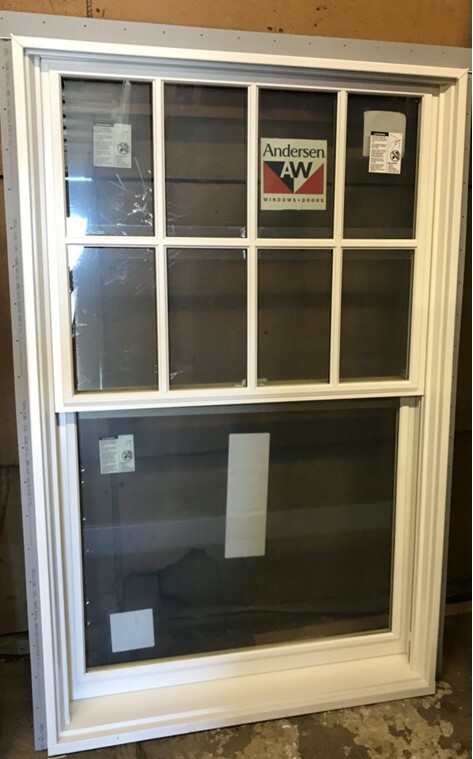 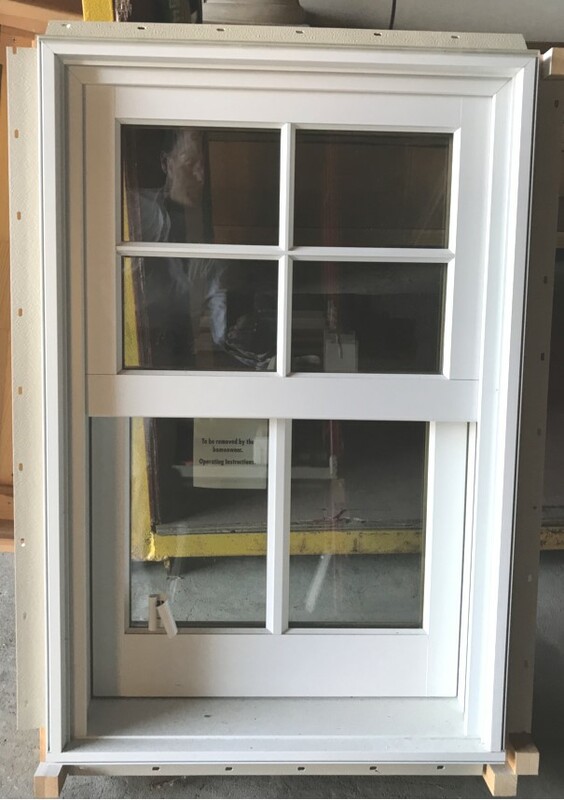 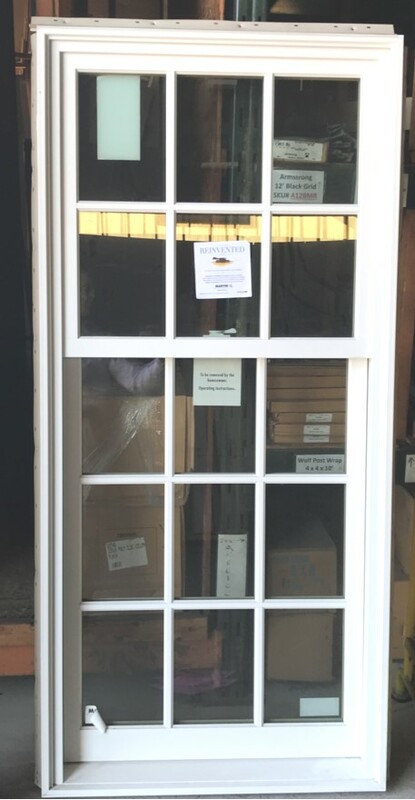 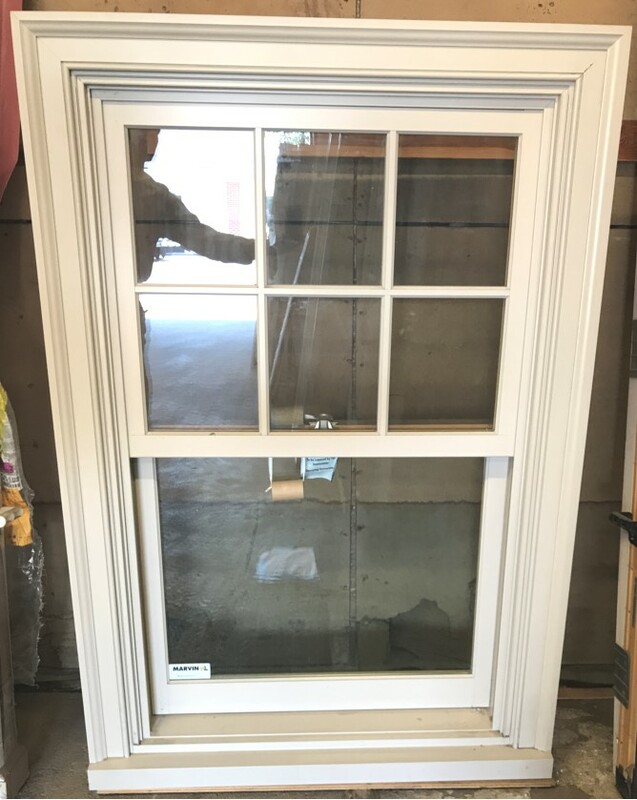 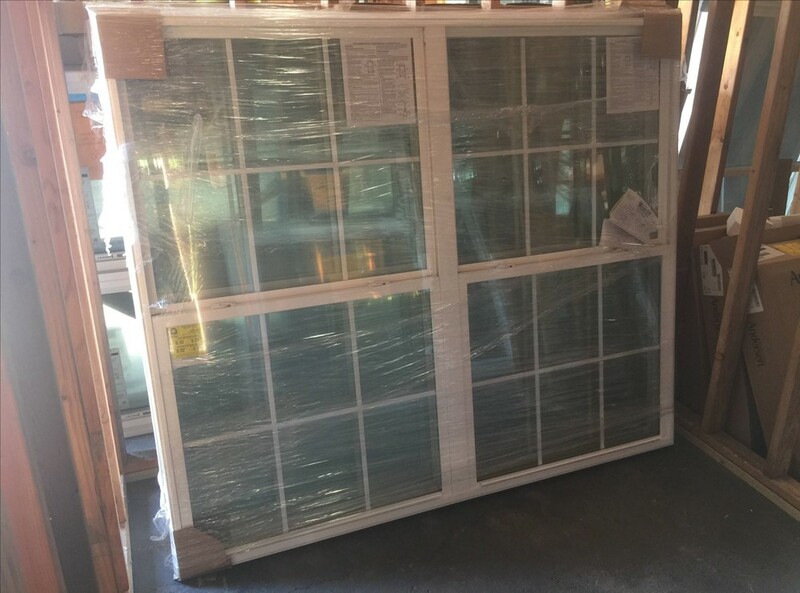 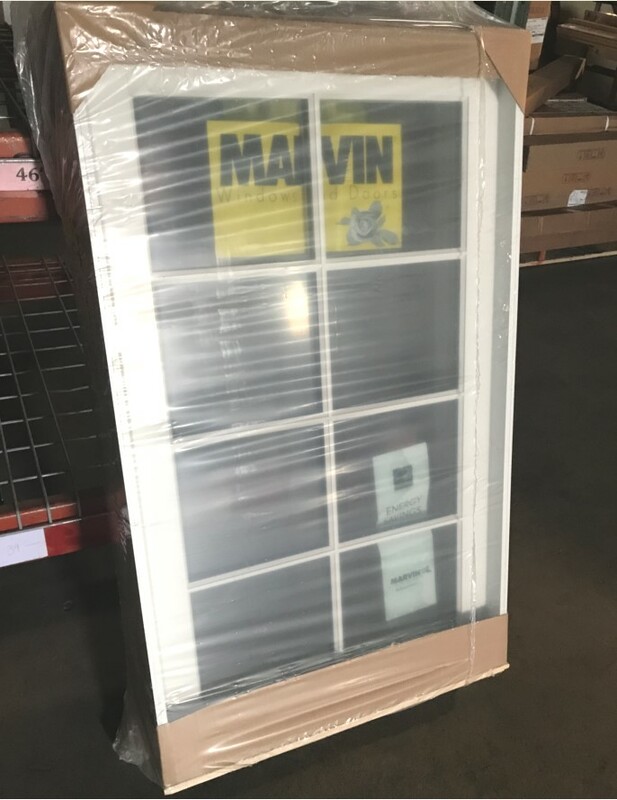 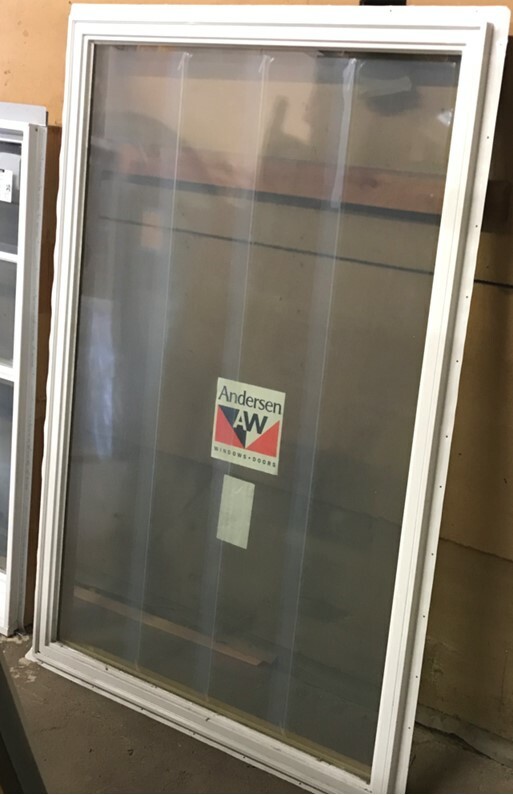 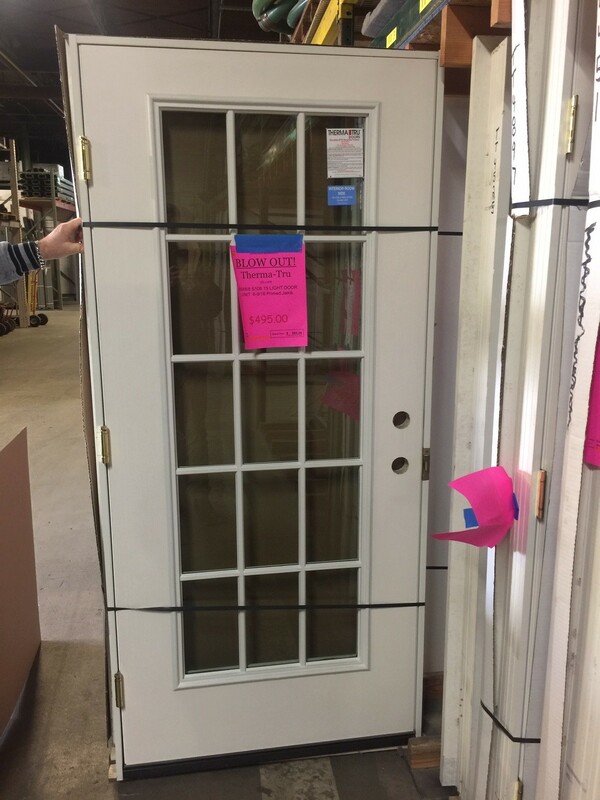 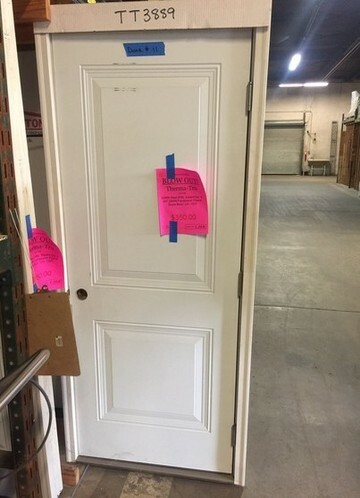 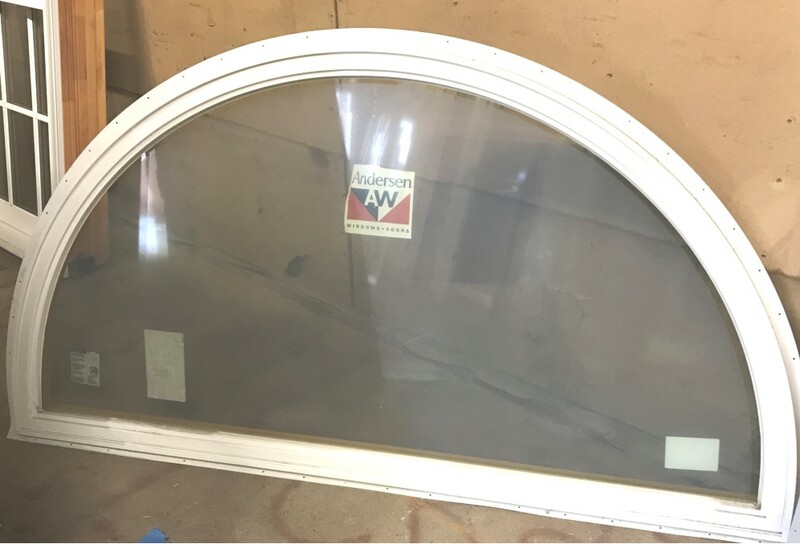 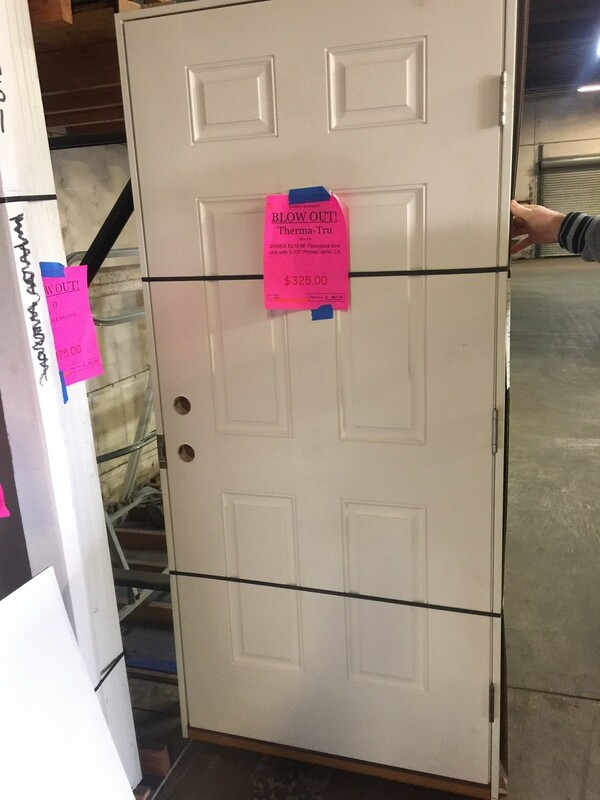 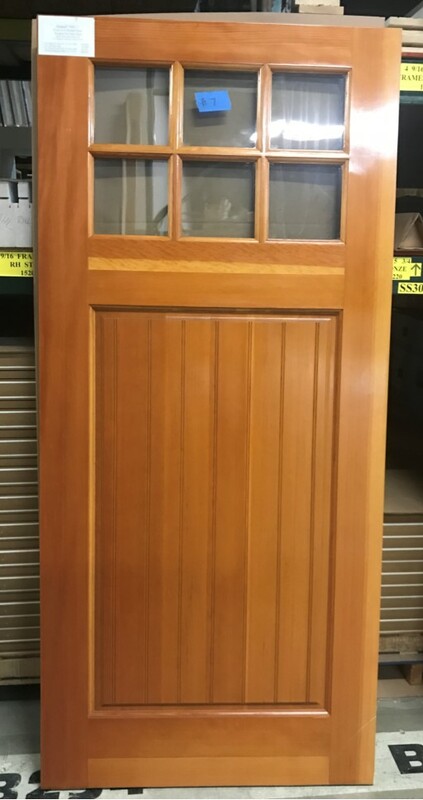 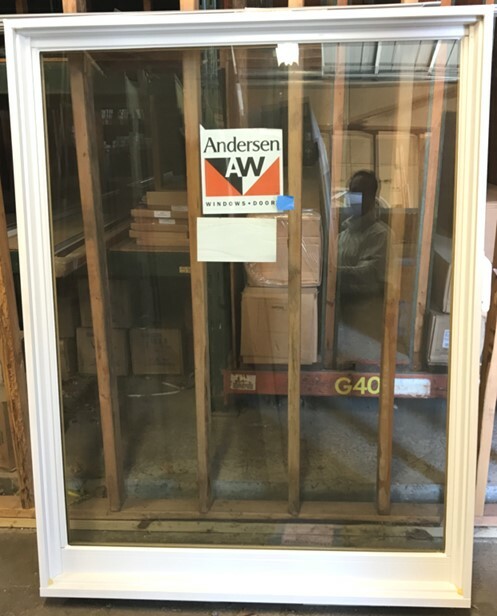 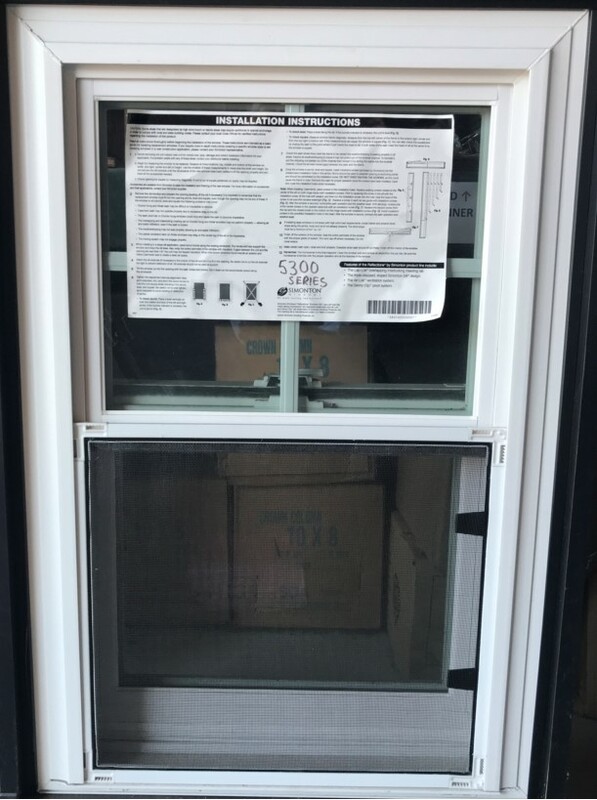 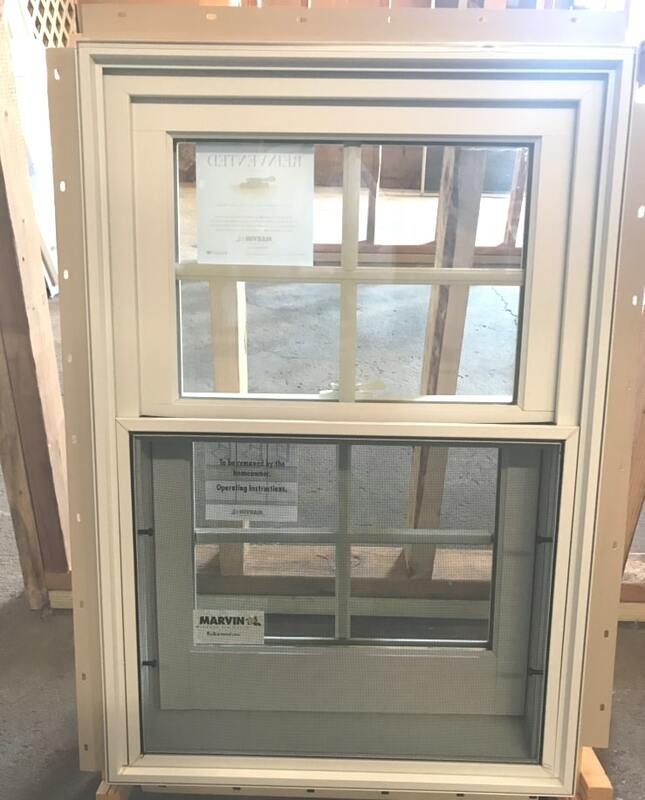 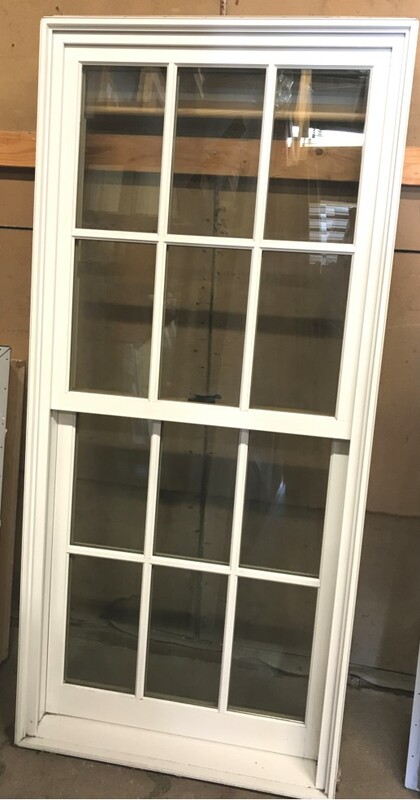 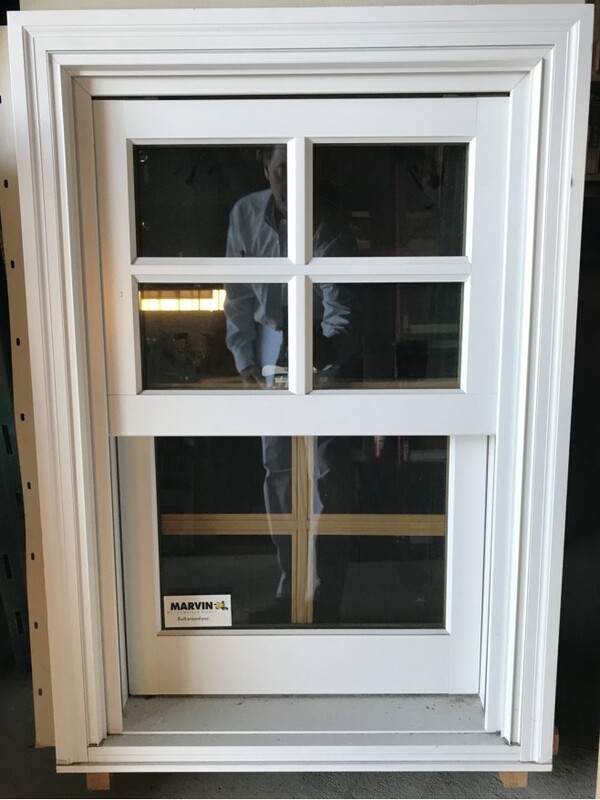 Inswing French Door w/ Transom and H/W, 1-1/8" SDL w/ Spacer, 4-9/16". 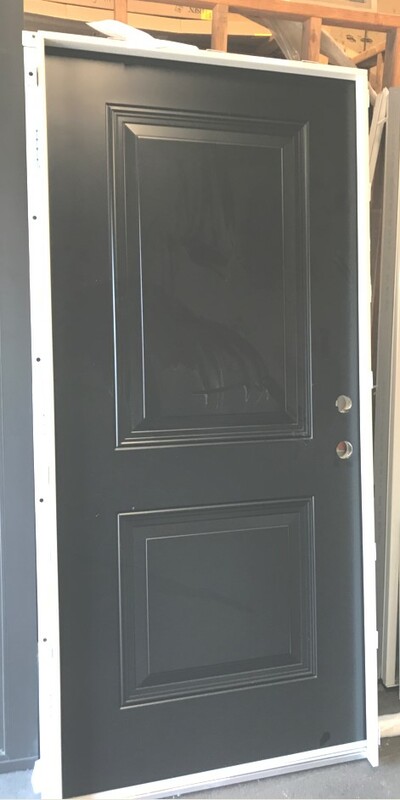 2-1/8" Beaded Casing. 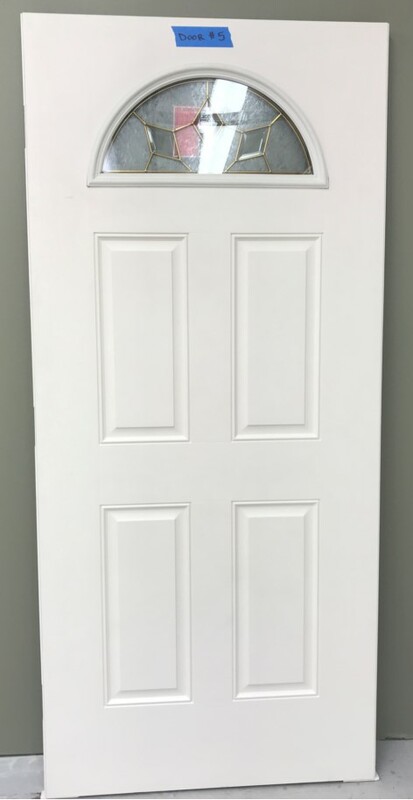 M.O. 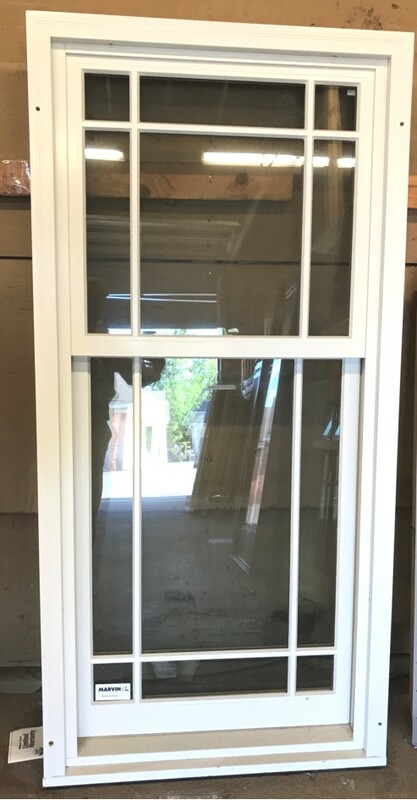 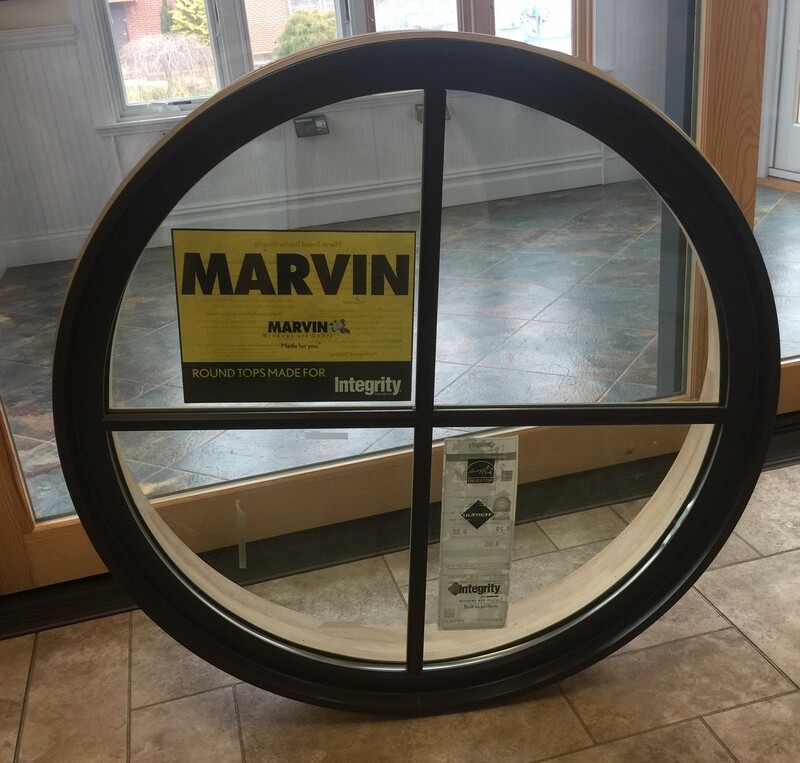 = 51-1/2" x 116". 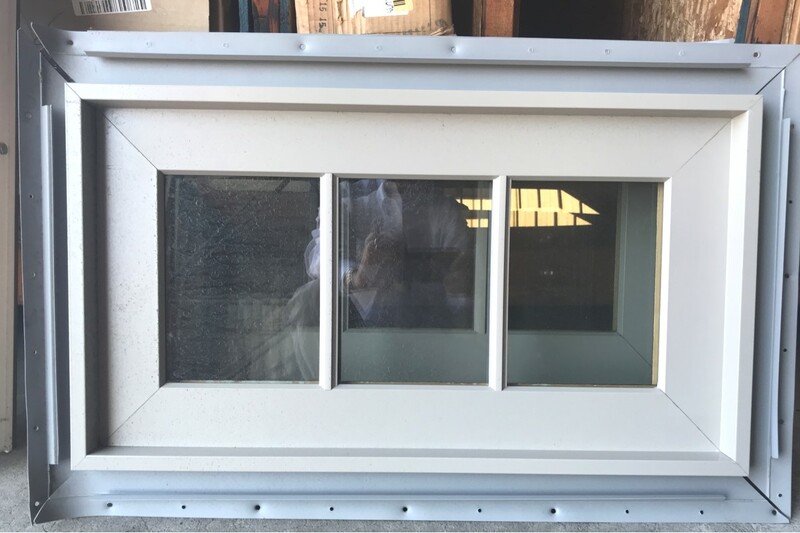 CUOFD Outswing 1W3H 5/8" SDL w/ Spacer Bar. 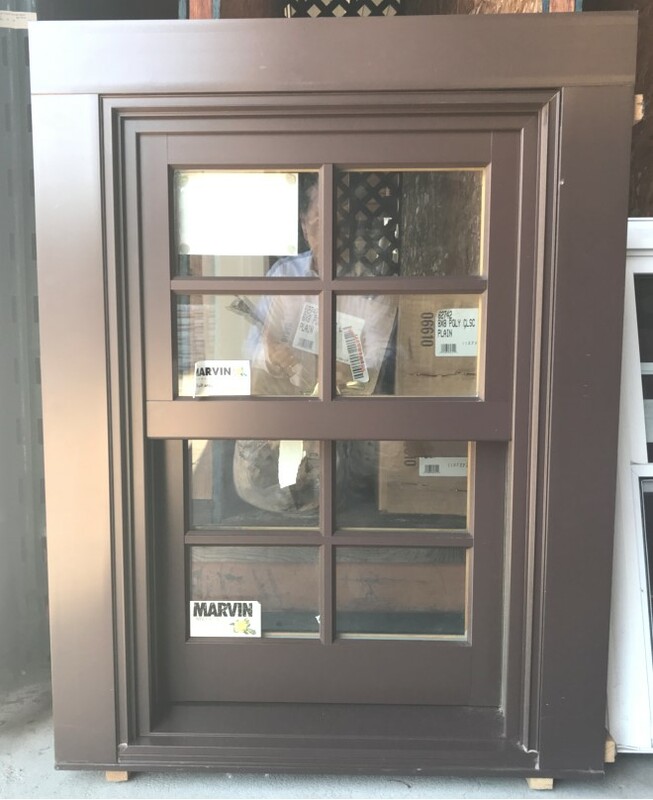 6-13/16" Jambs, Dark Bronze Adj. 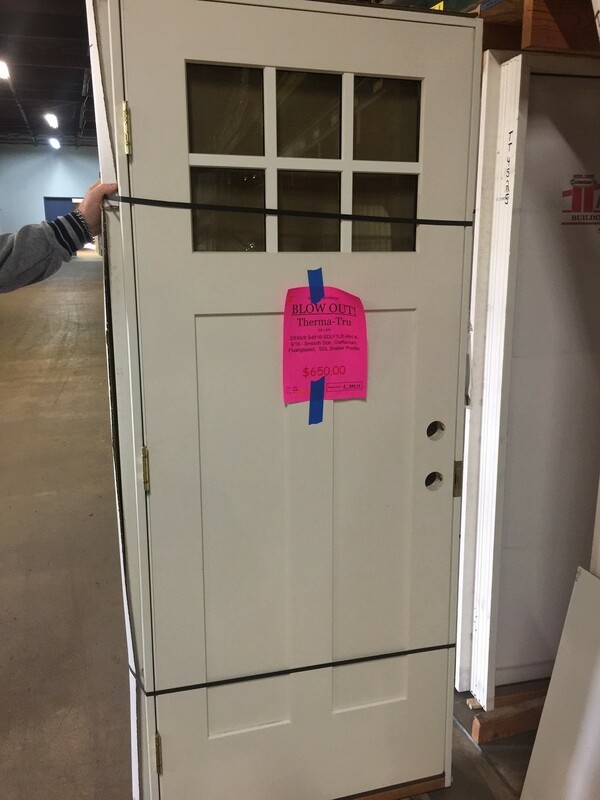 Hinges. 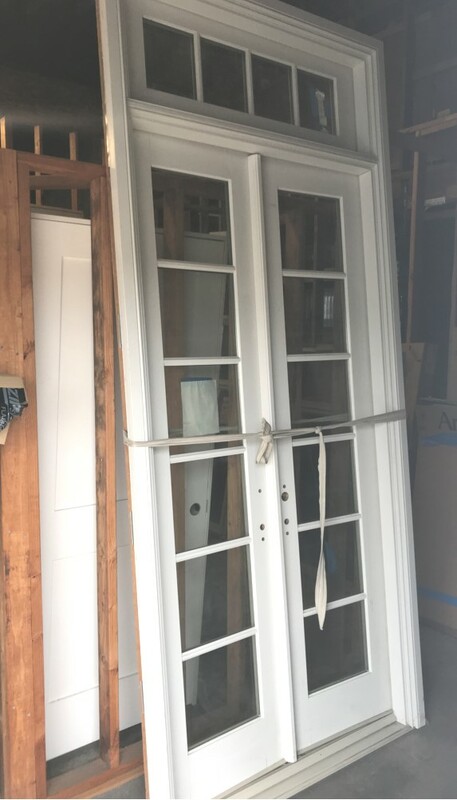 Hinges on LEFT from Ext. 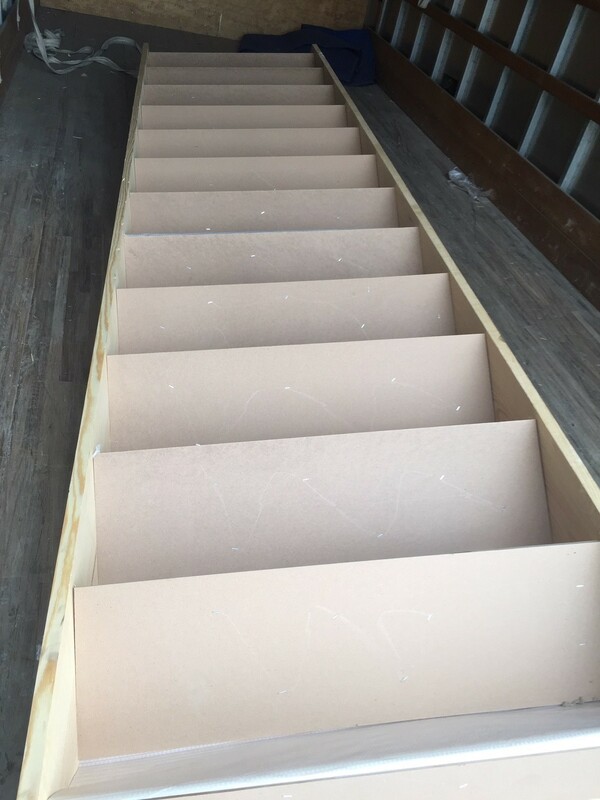 13 Rise Box Stair Set. 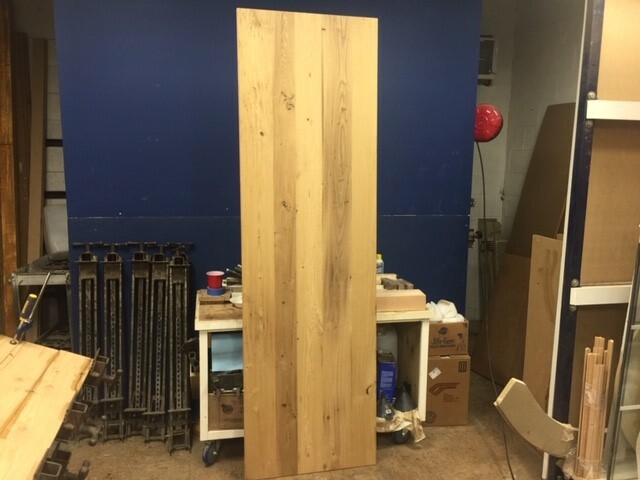 #2 Yellow Pine. 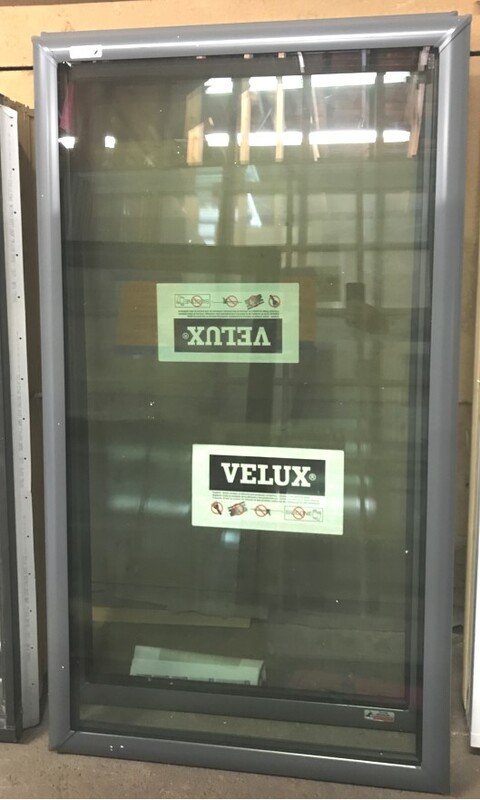 LVL LEFT. 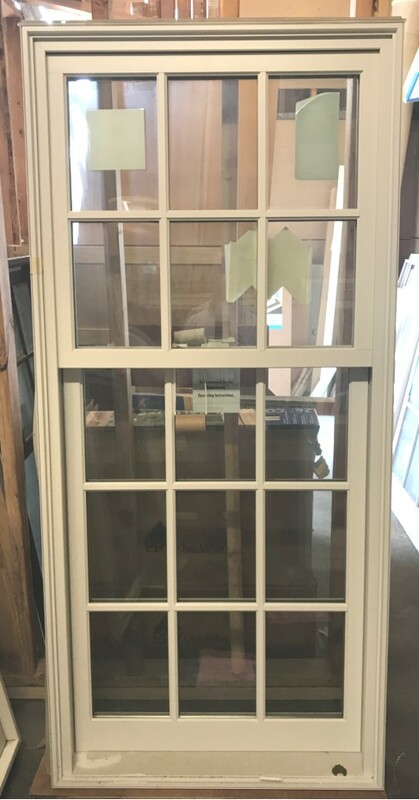 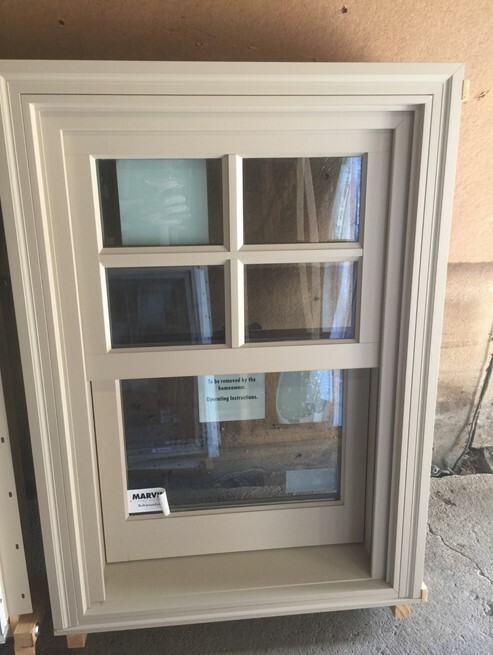 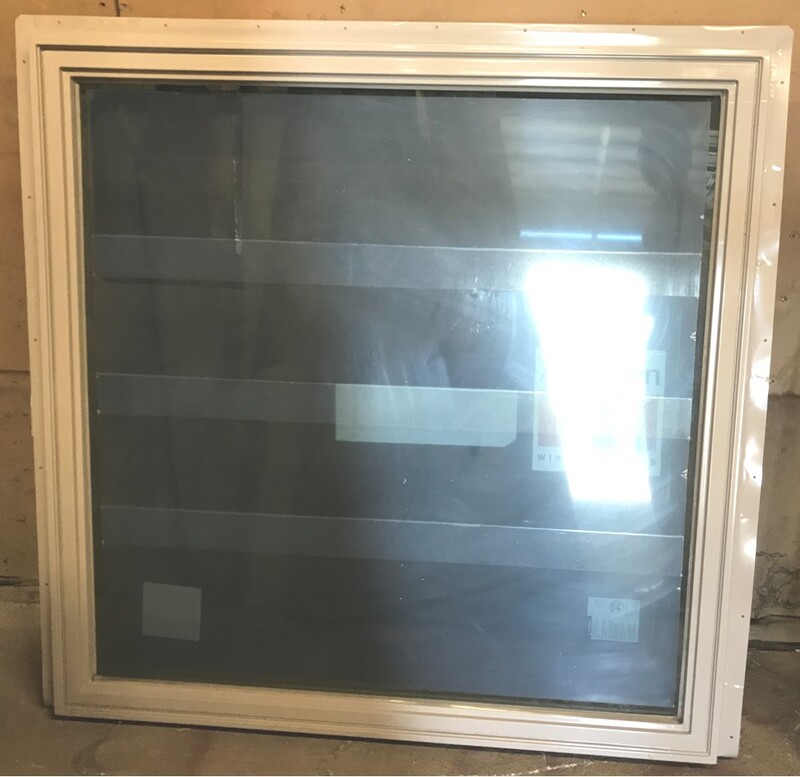 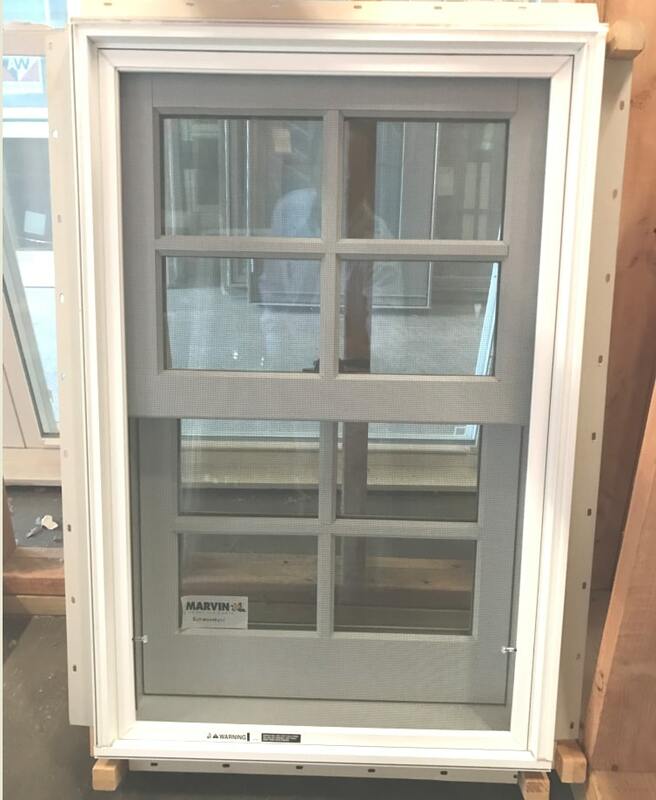 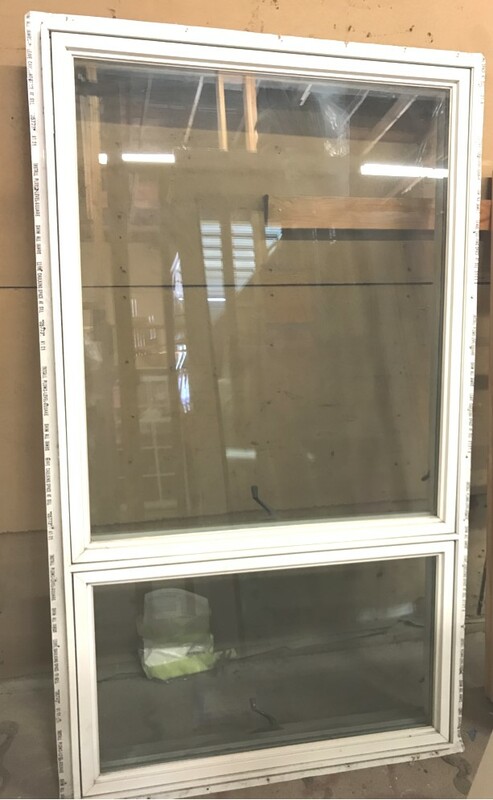 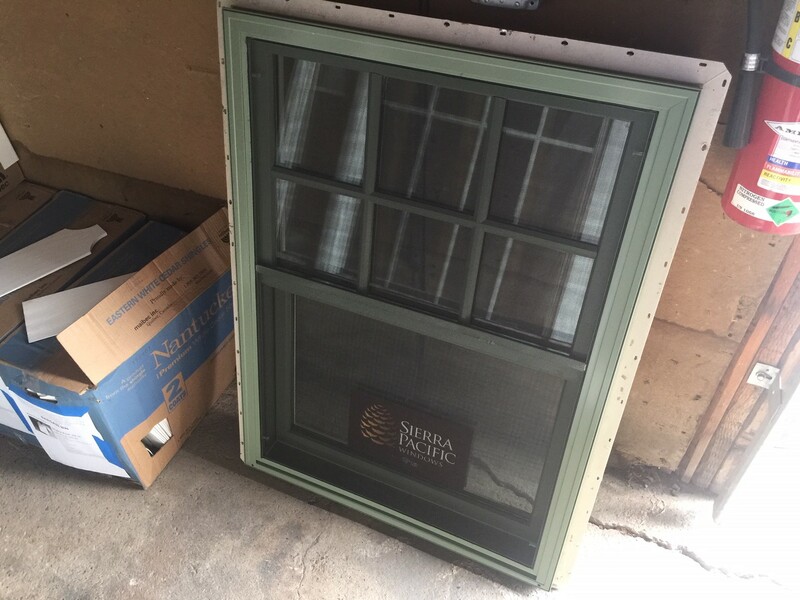 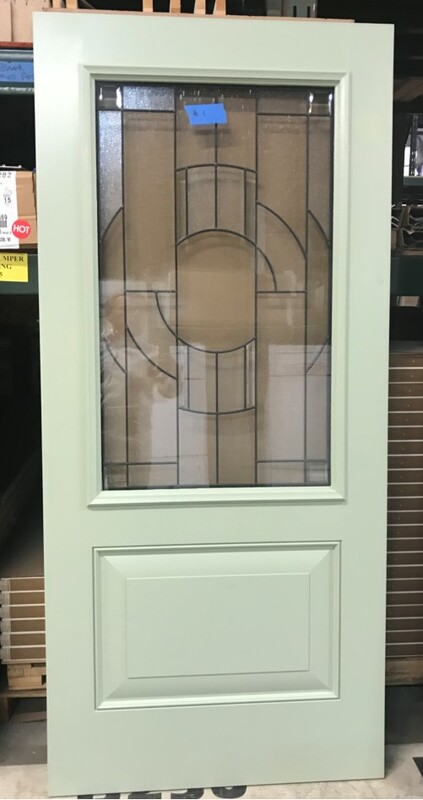 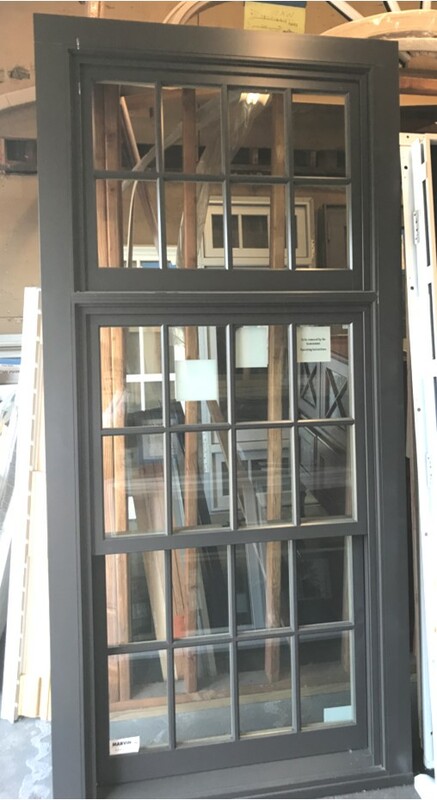 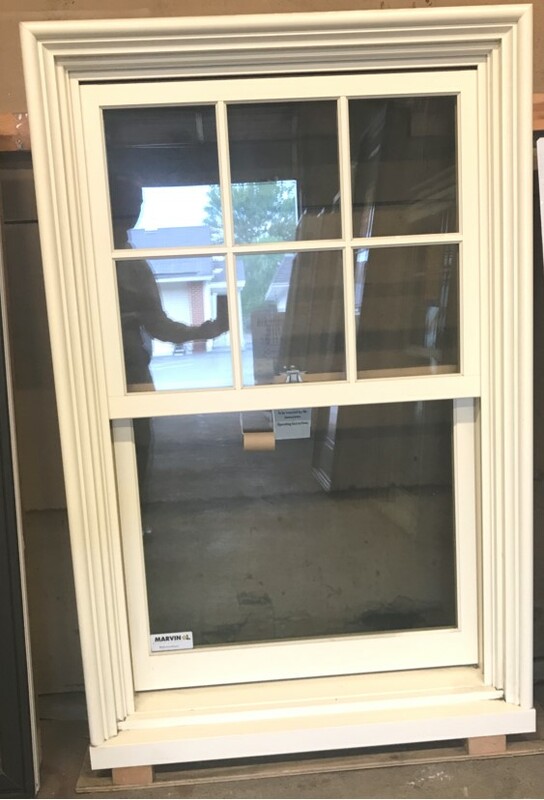 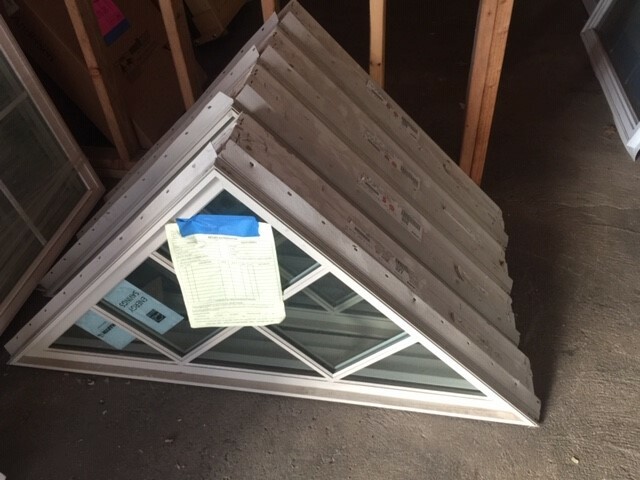 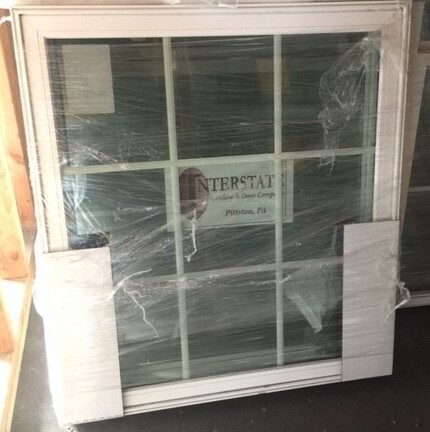 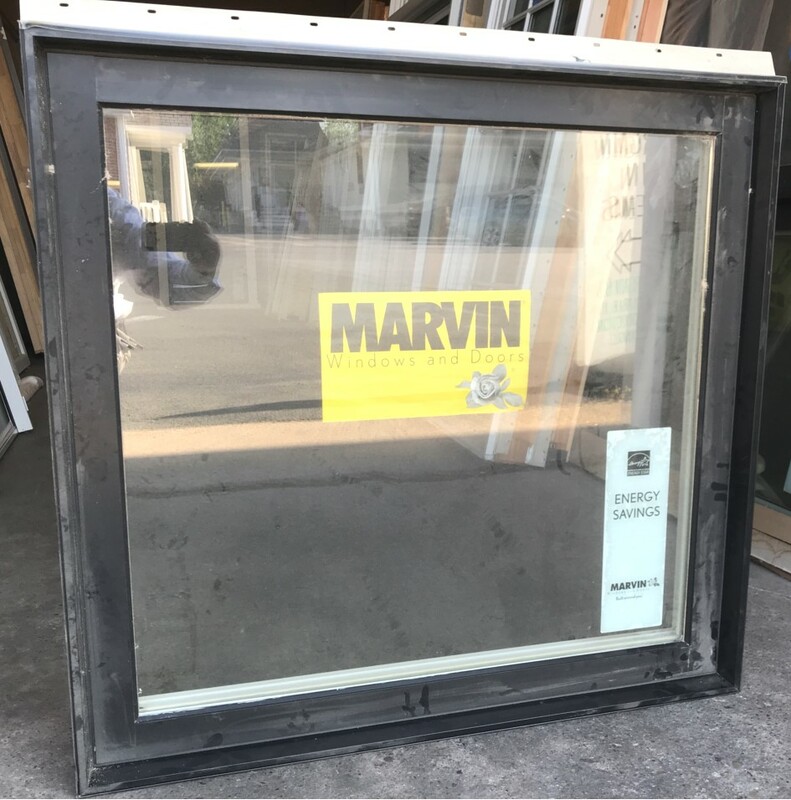 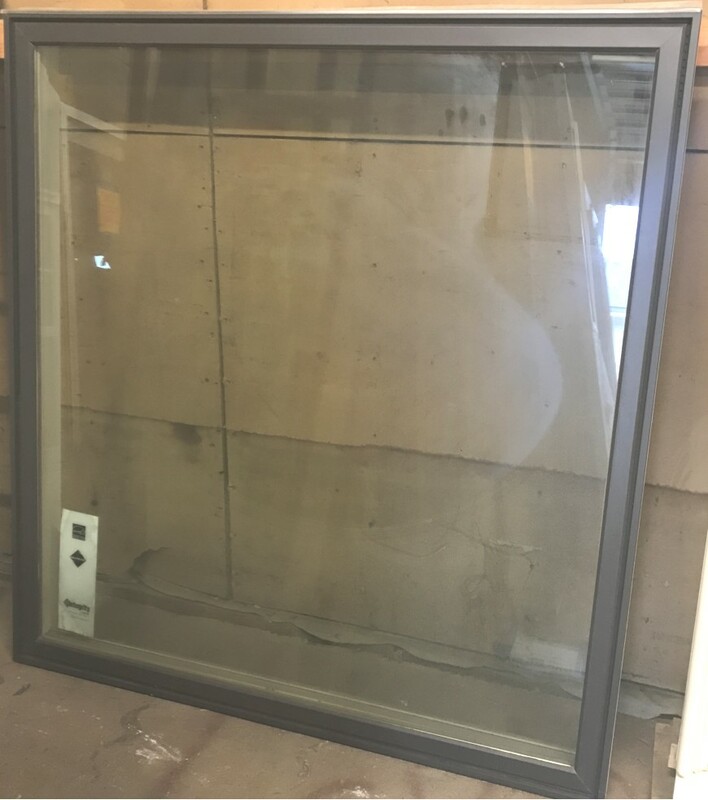 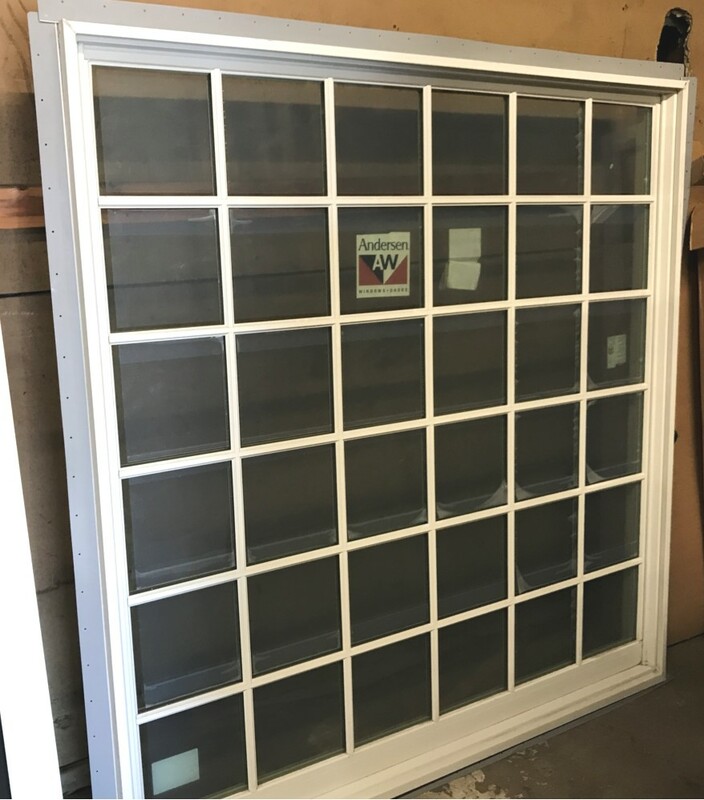 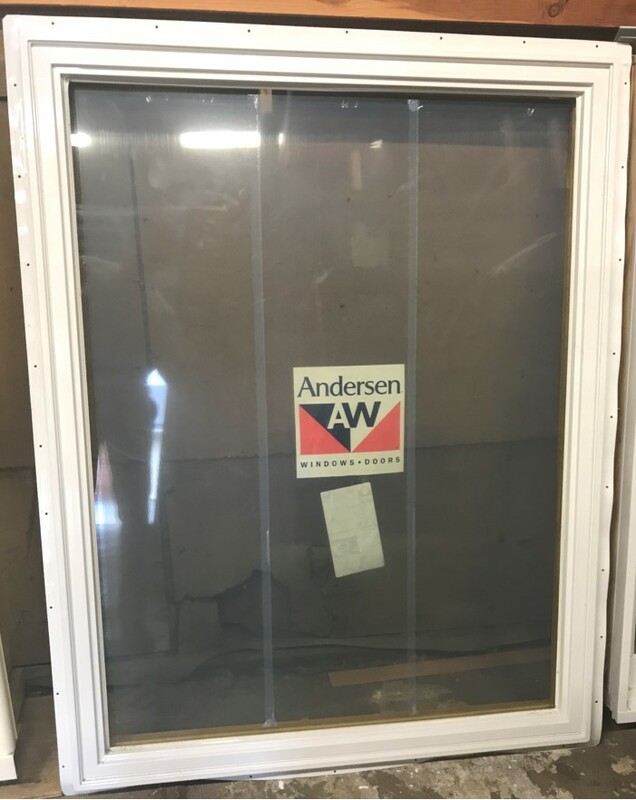 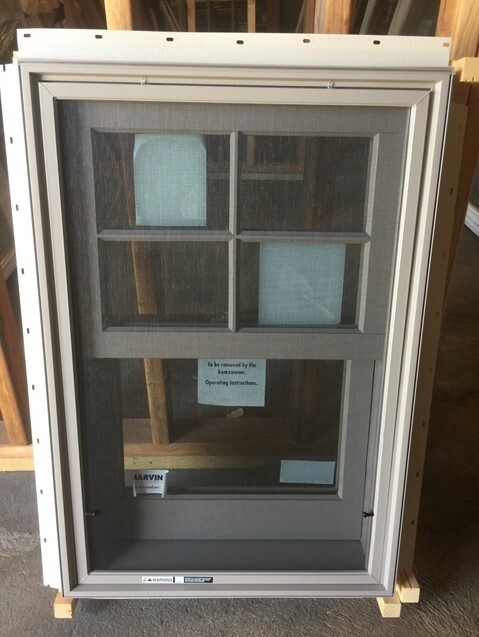 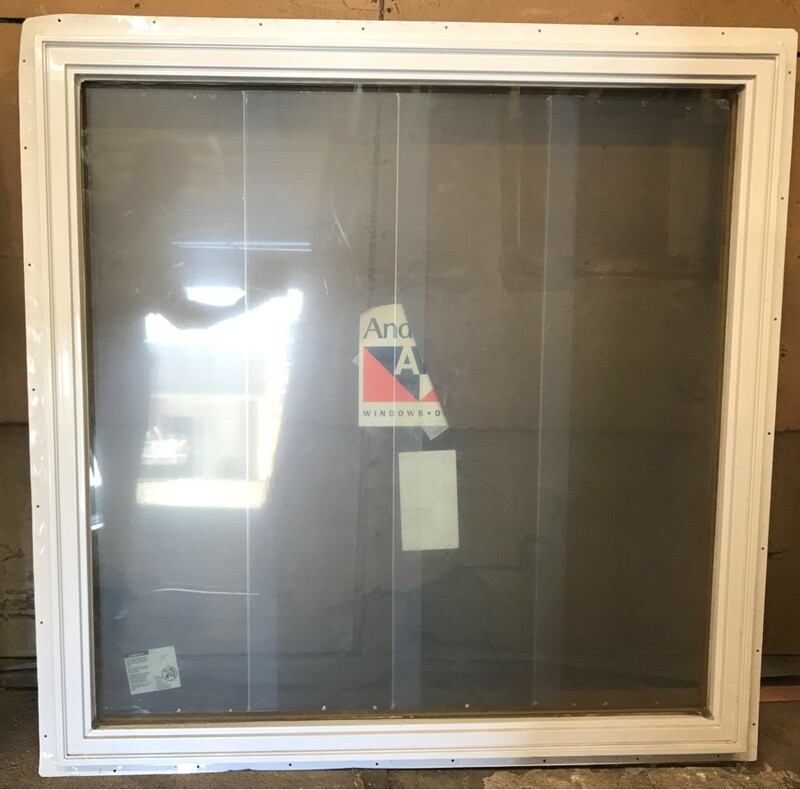 104-1/4"
H3 Aluminum Clad Double Hung Window, Double Hung, Full Screen, Patina Green Exterior / White Pine Interior, Dual Insulated, Low-E, Offset Lites, Concealed, Lock-Keepers, 1 Lock, Simulated Divided Lite, Equal, Grille ProfileVinyl Nailing Fin, No Drip Cap, 4-9/16"
3/6 Wide Door with 14" Sidelites. 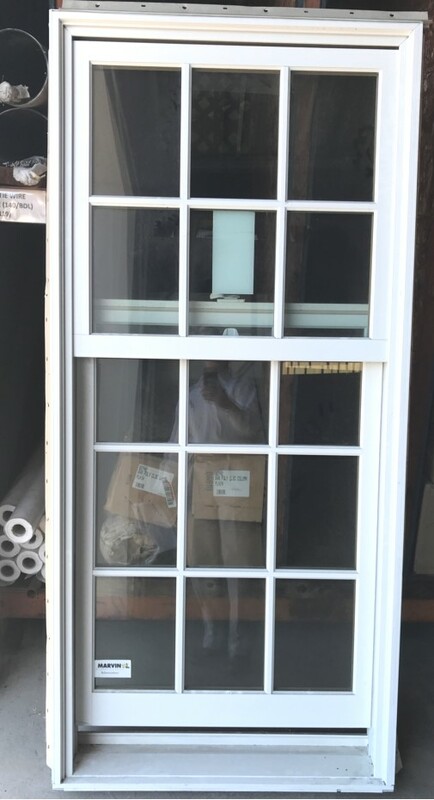 7/8" SDL w/ Spacer. 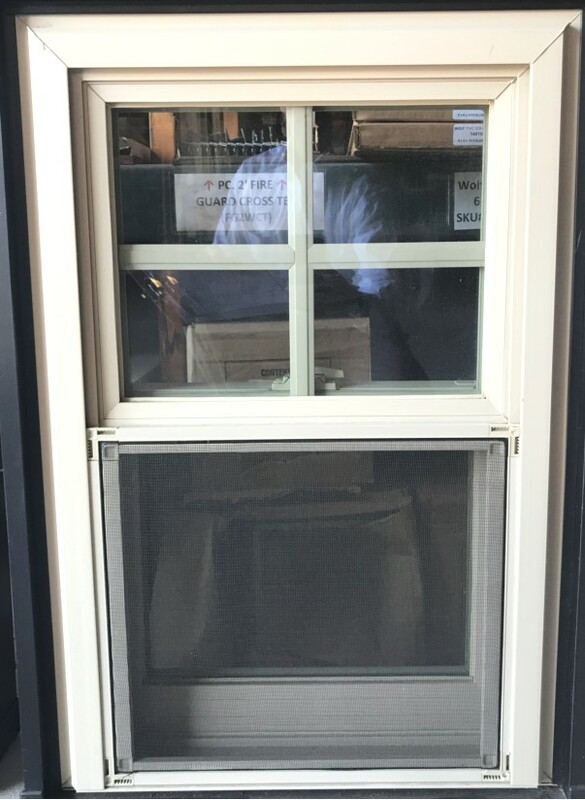 Low Profile Sill or We'll Switch out to Oak Adj. 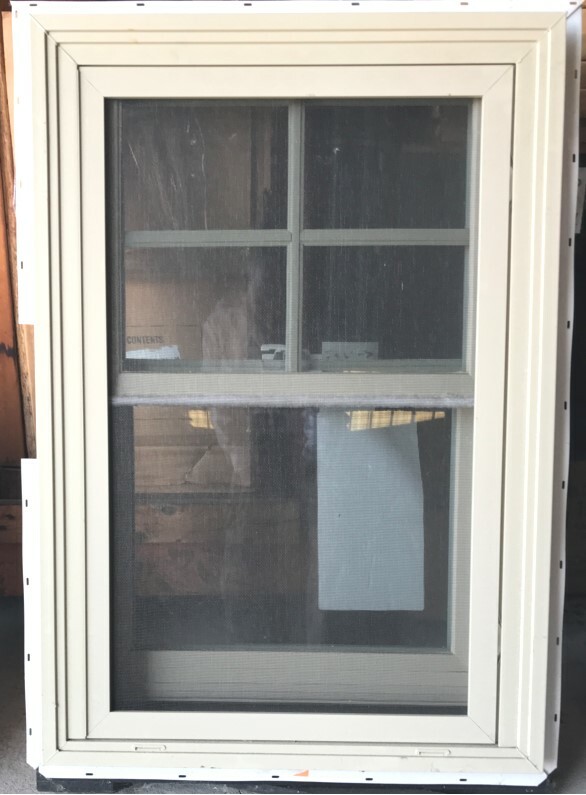 for $150. 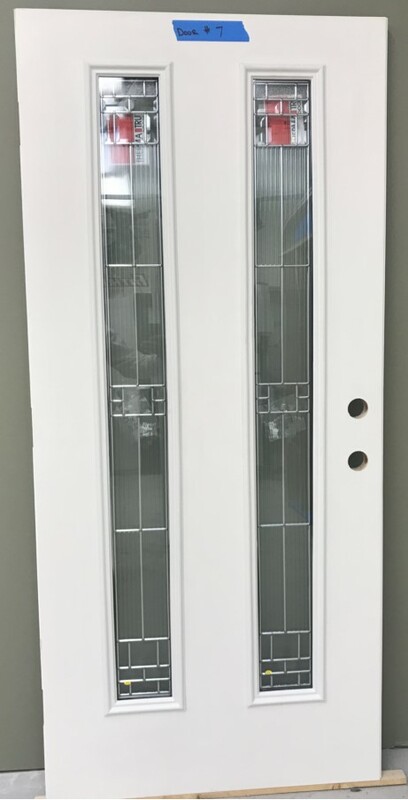 Omnia Lockset. 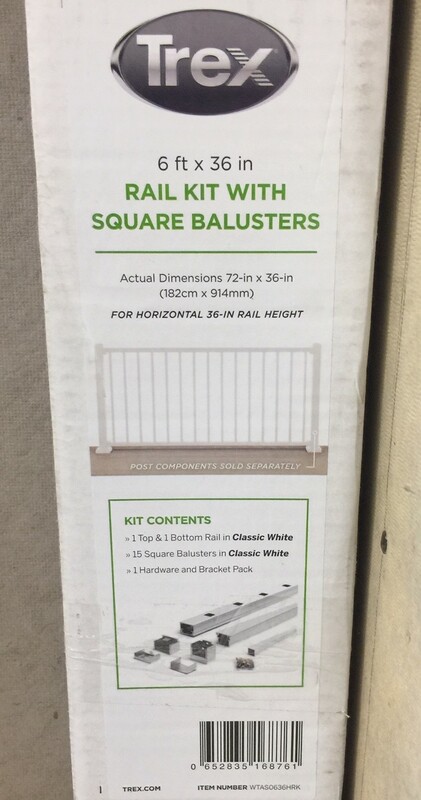 "S118LE RN, RH, 6-9/16"" Jamb, full light, double bore"
6'x36" Horizontal Rail Kit, 1 top & 1 bottom rail in classic white, 15 square balusters, 1 Hardware and bracket pack.